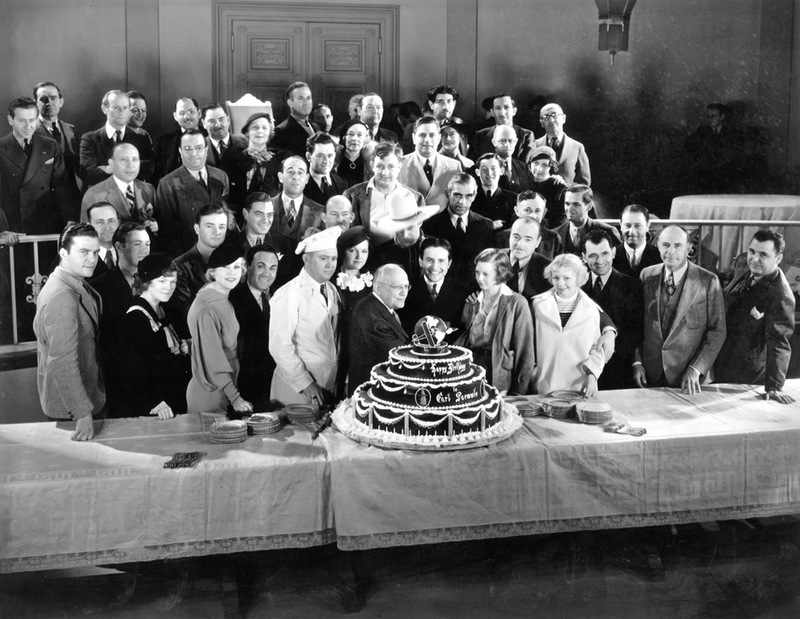 Happy New Year of 2018! 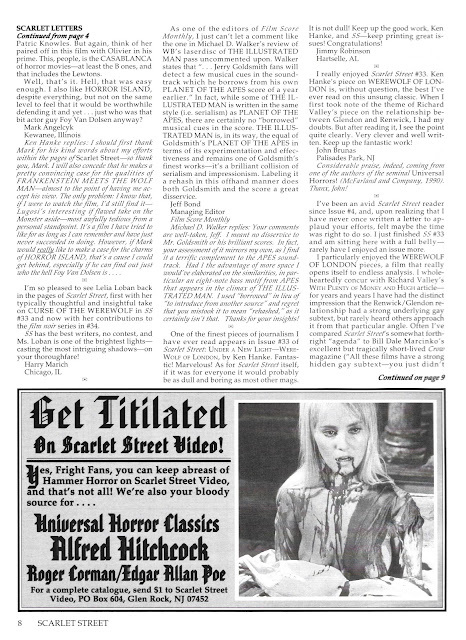 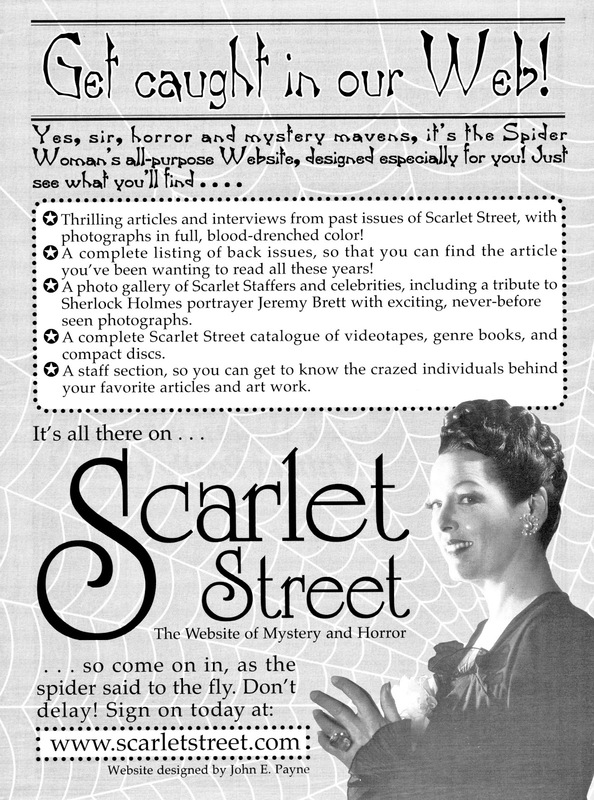 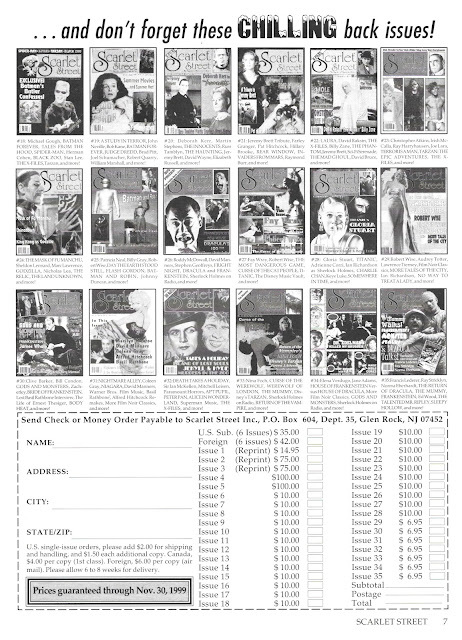 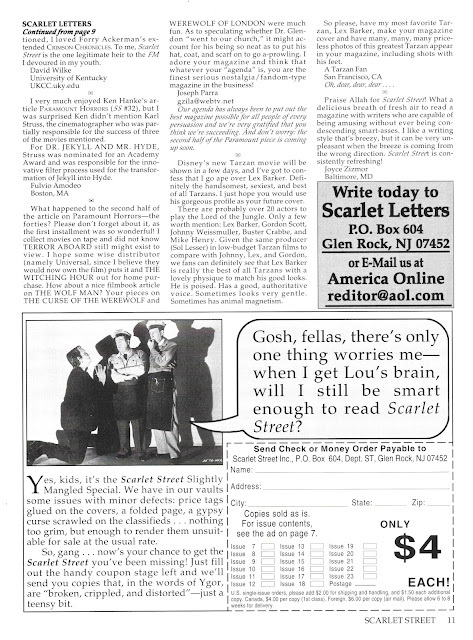 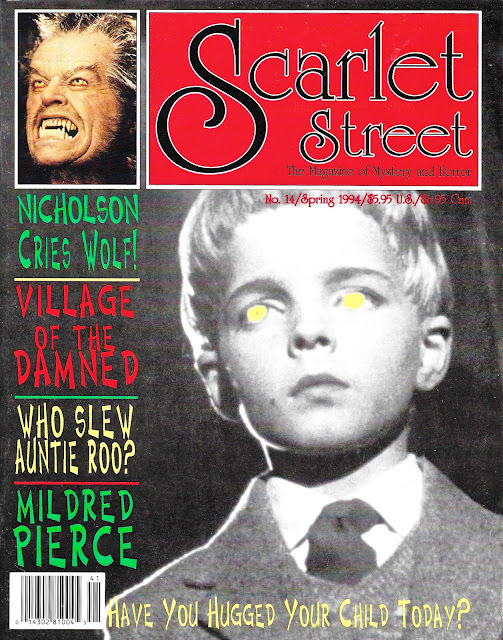 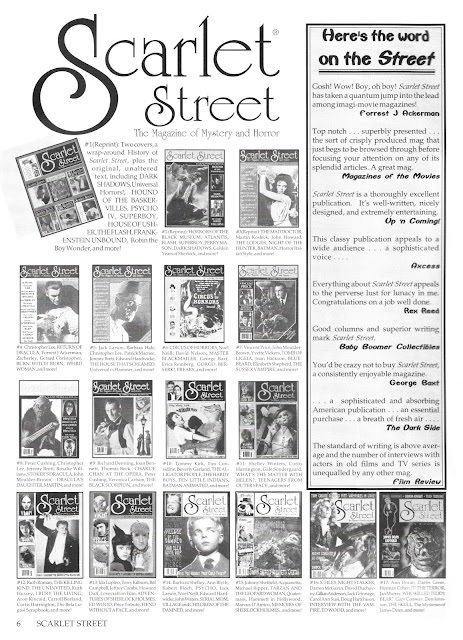 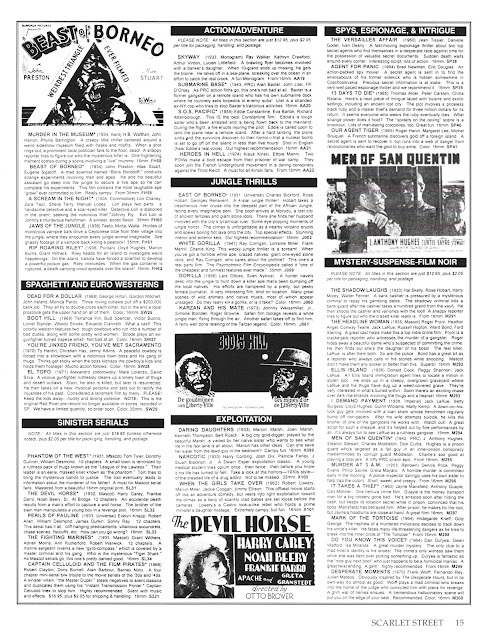 To start it off, I thought Scarlet Street #35 was going to prove a challenge for me, because as you know I enjoy checking on the internet to see if I can find interesting photos to supplement the articles from each issue. 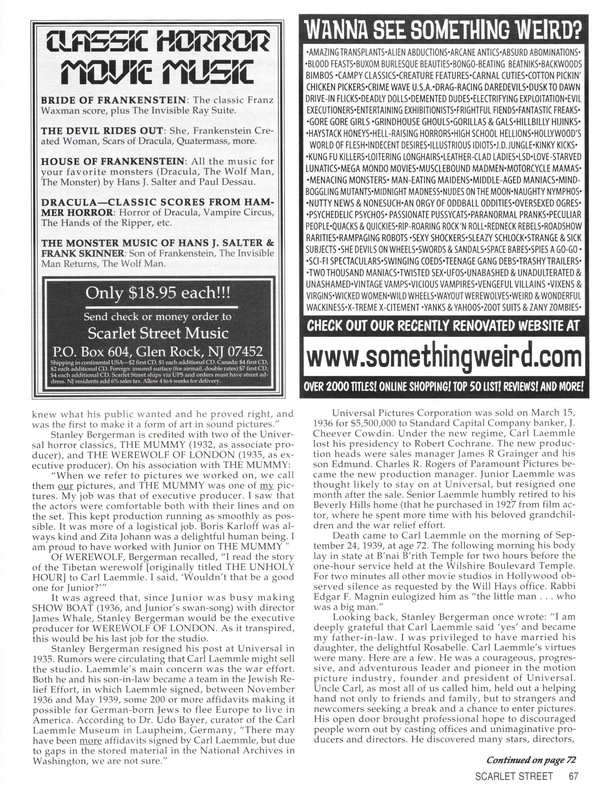 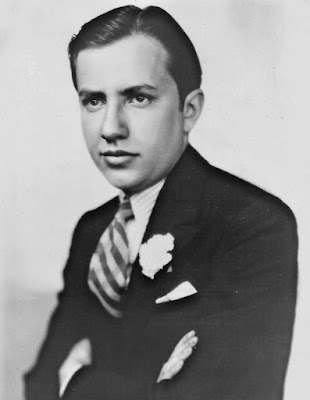 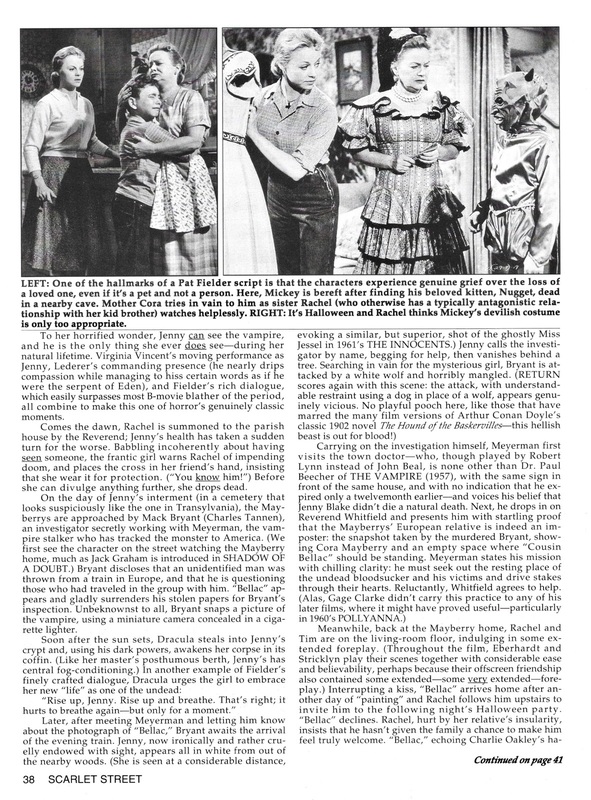 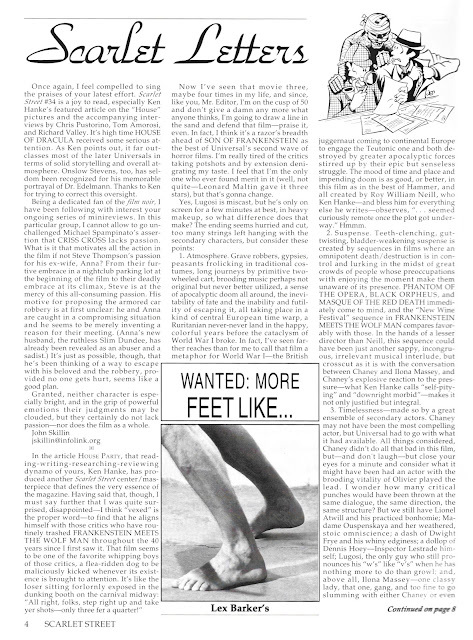 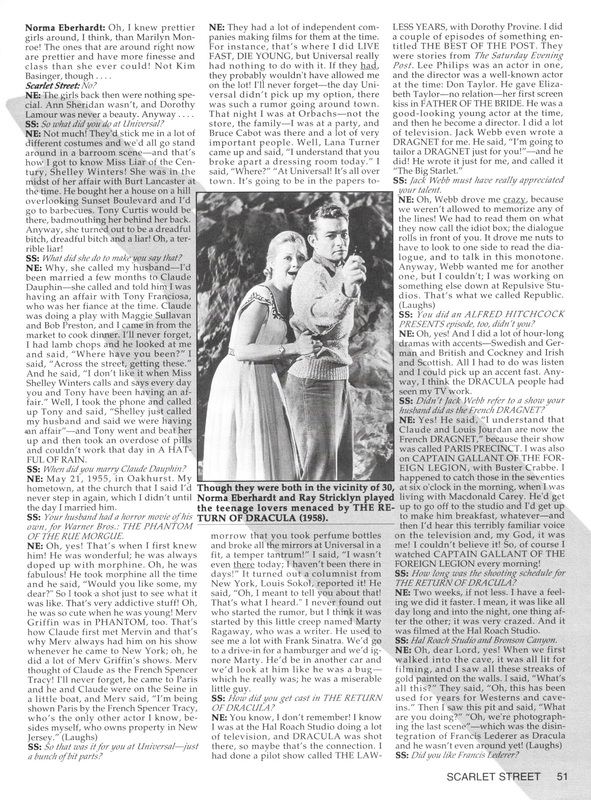 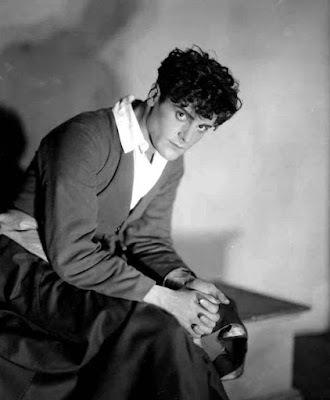 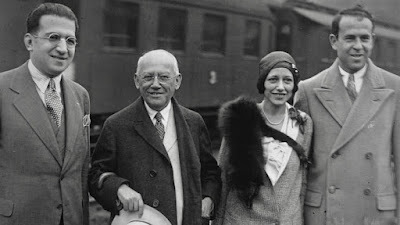 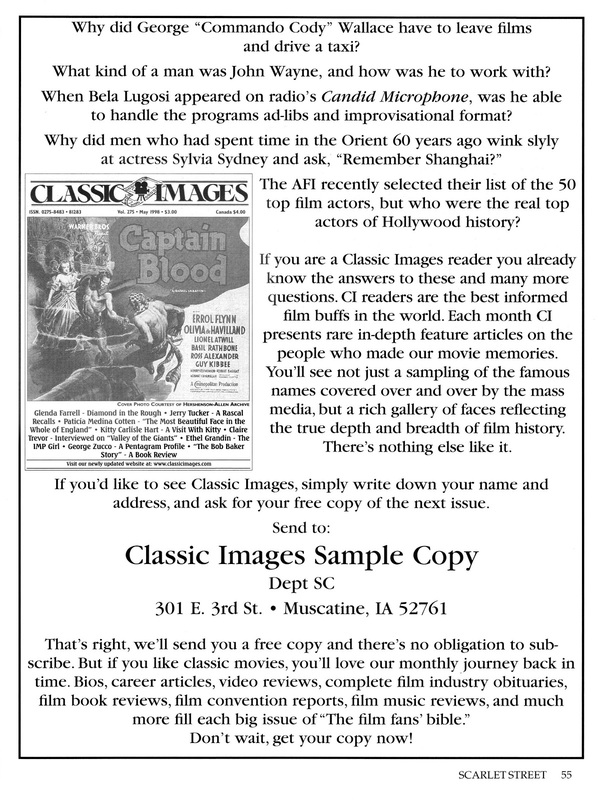 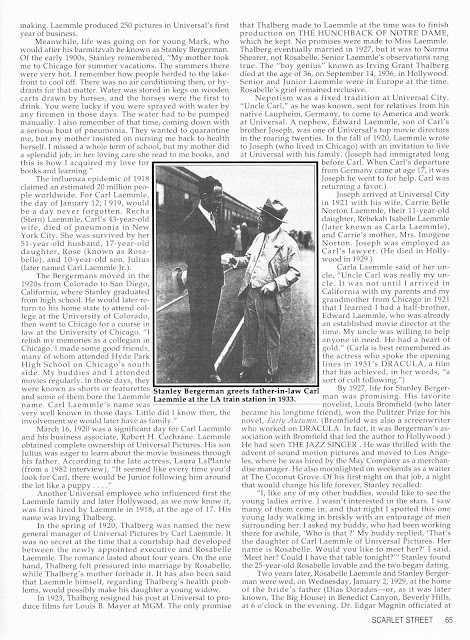 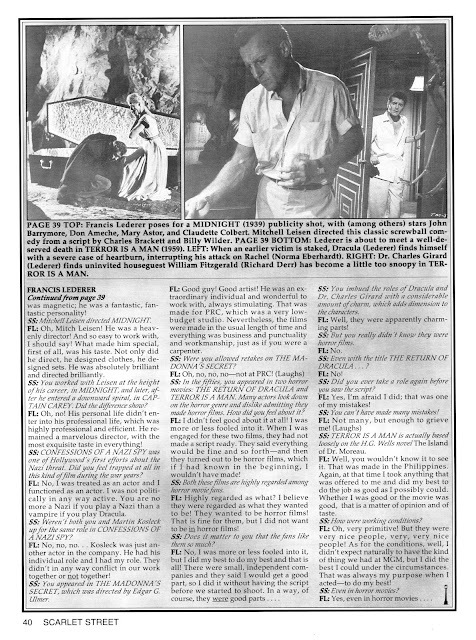 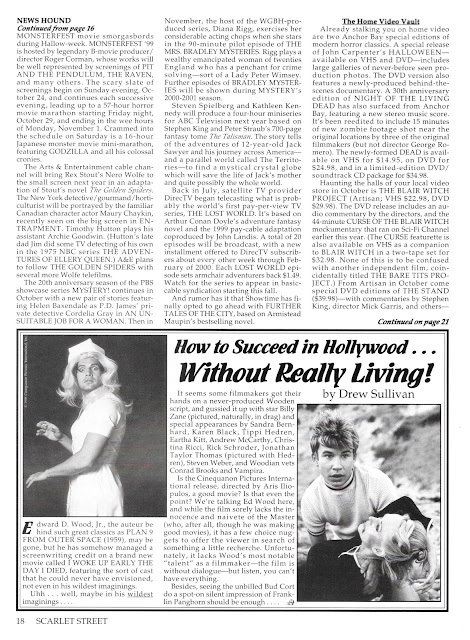 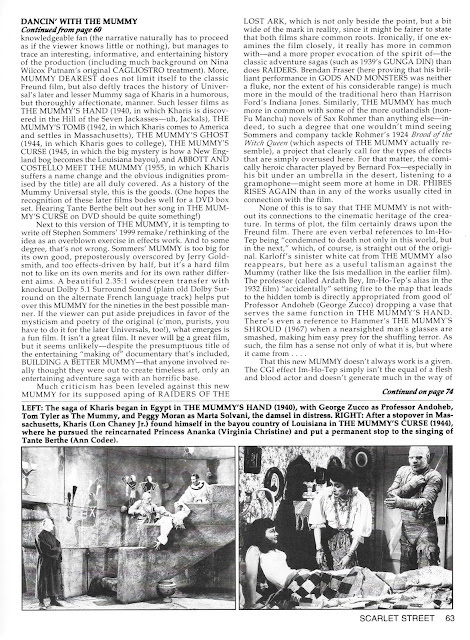 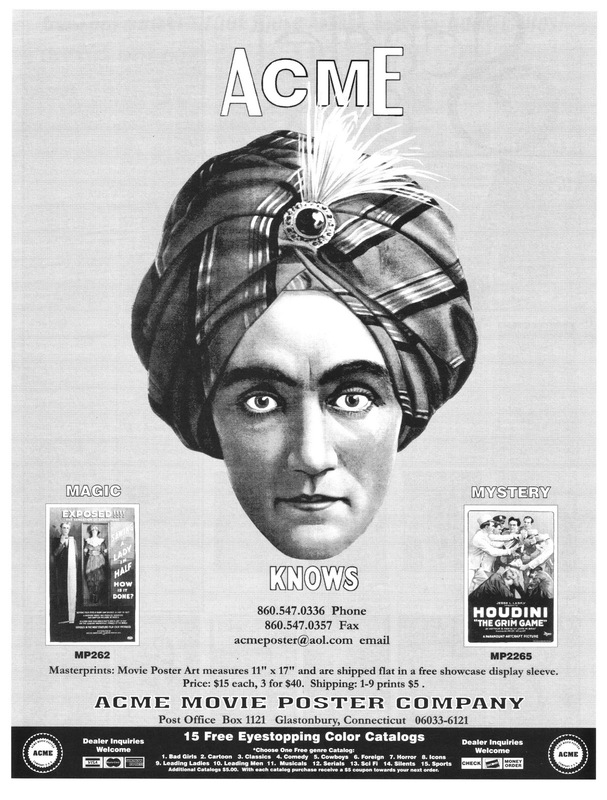 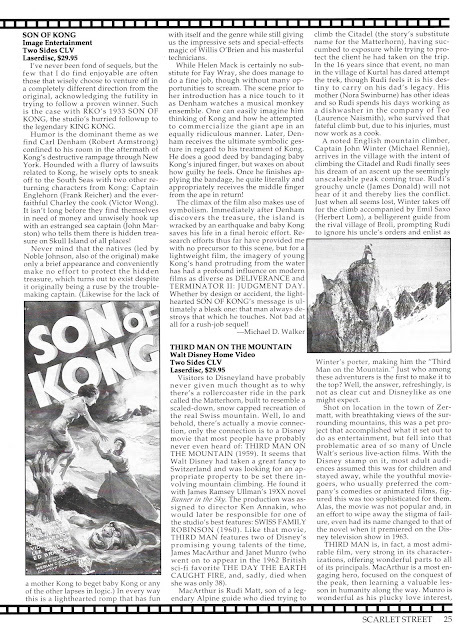 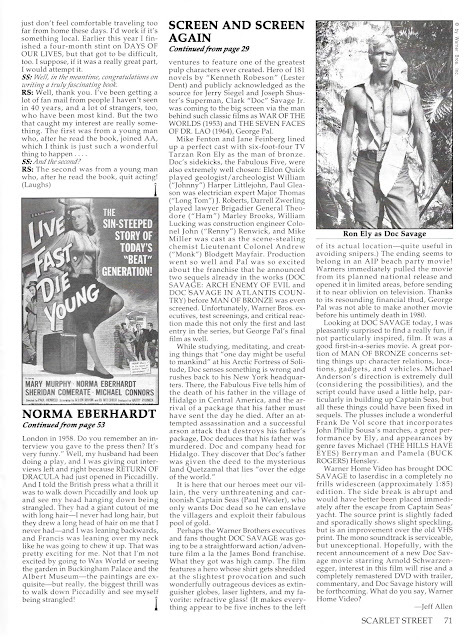 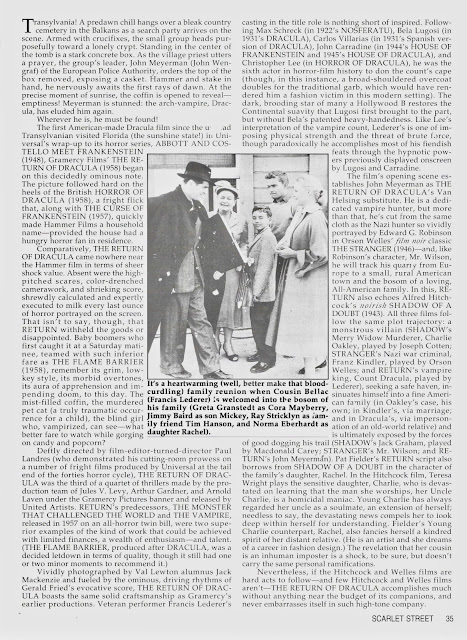 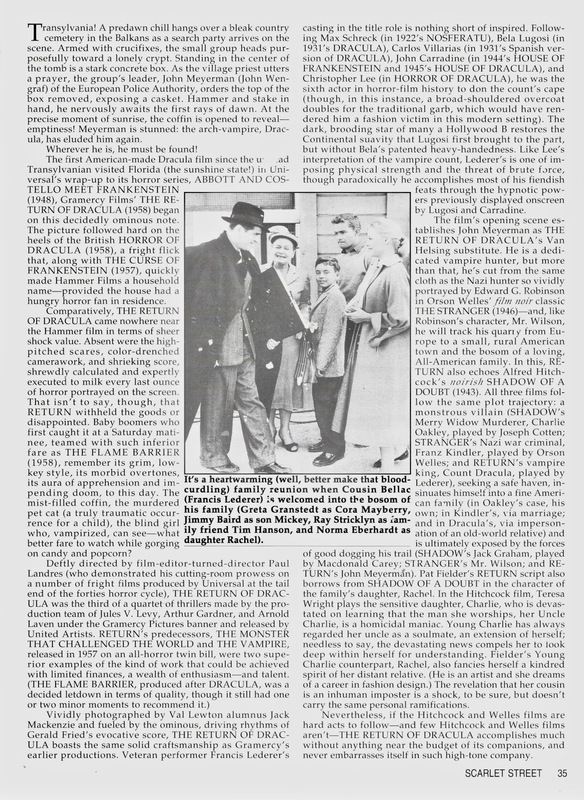 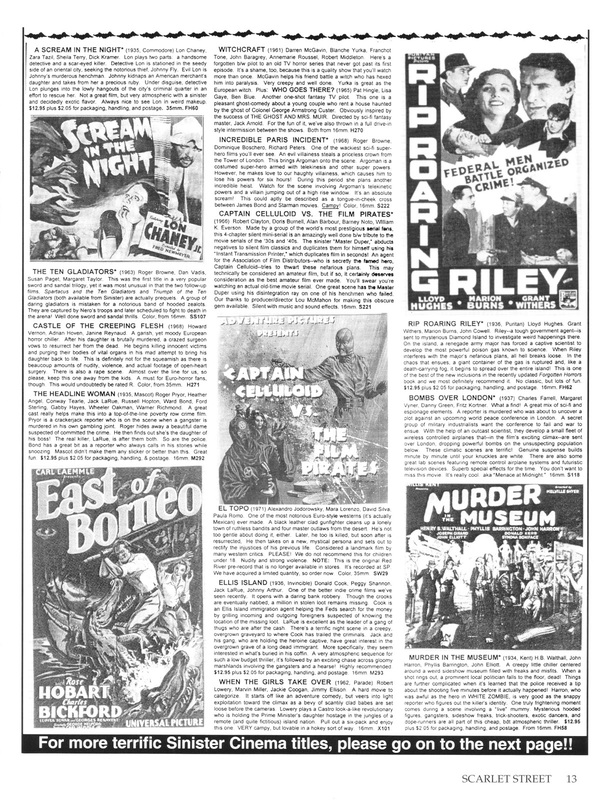 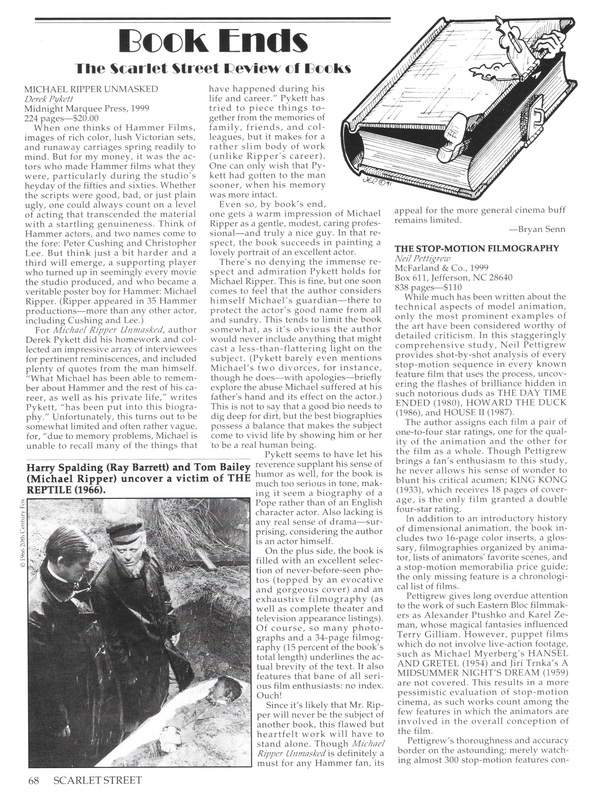 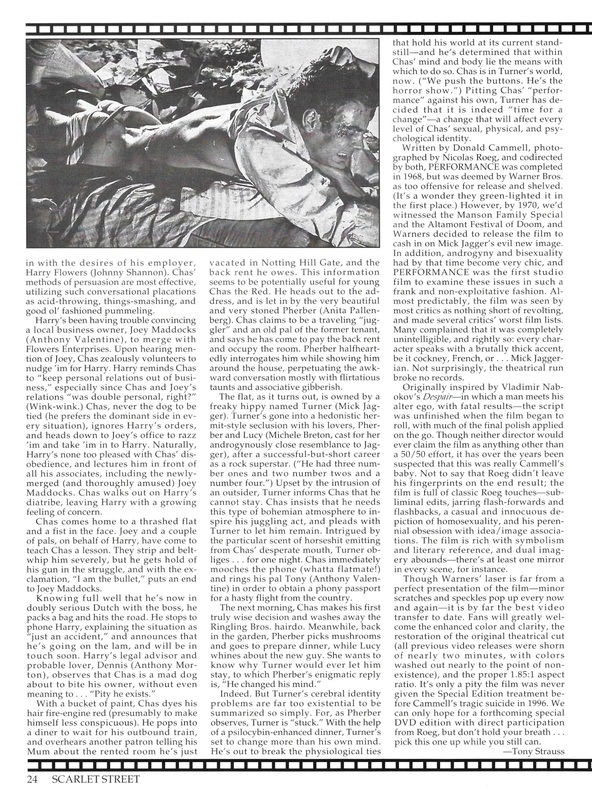 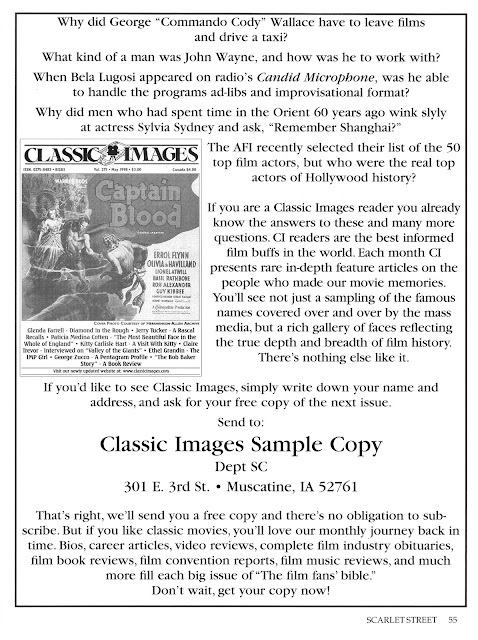 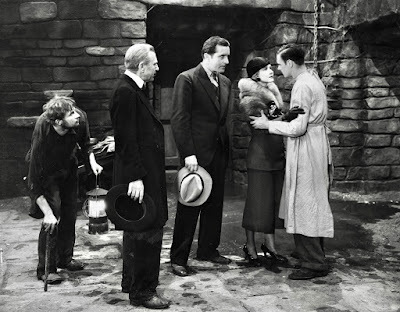 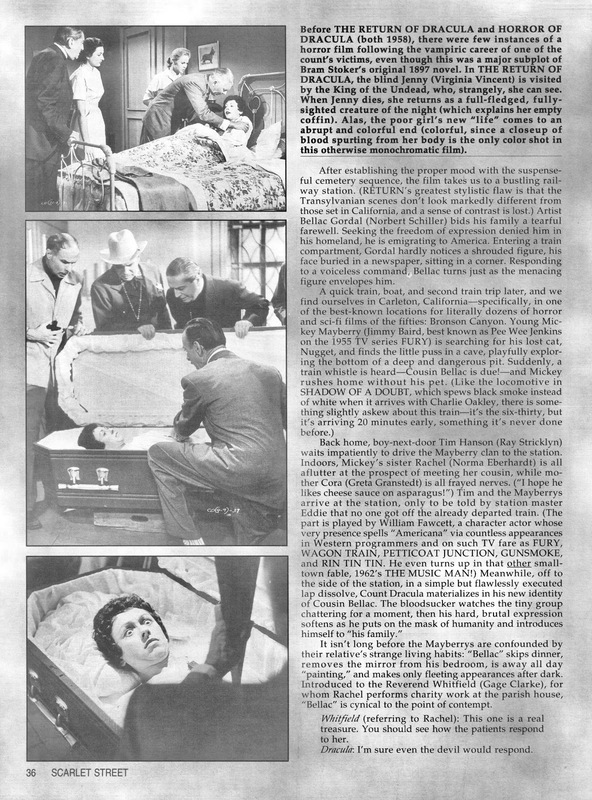 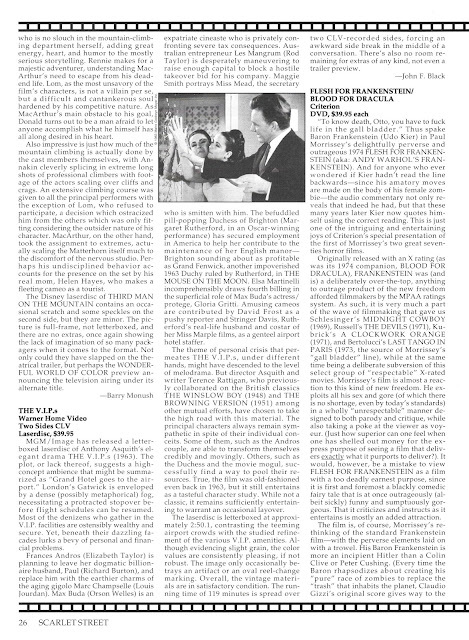 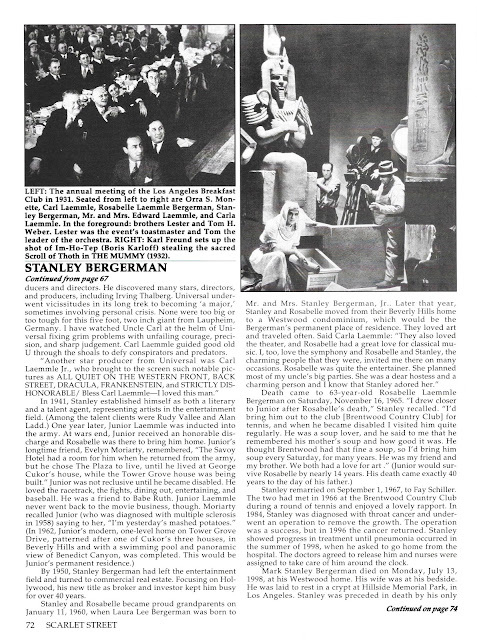 More of a challenge for me was trying to find something on Stanley Bergerman, Carl Laemmle's son-in-law, as written about by my friend Rick Atkins. 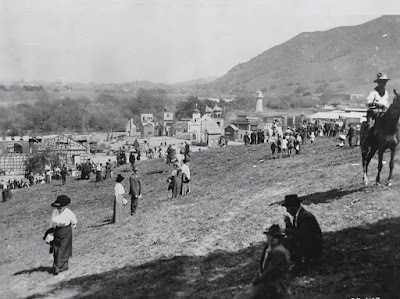 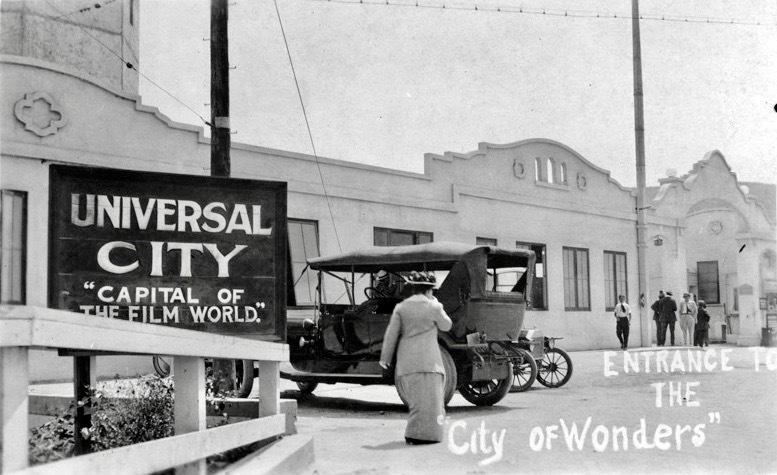 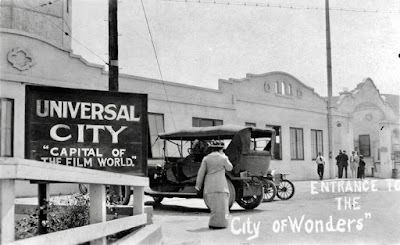 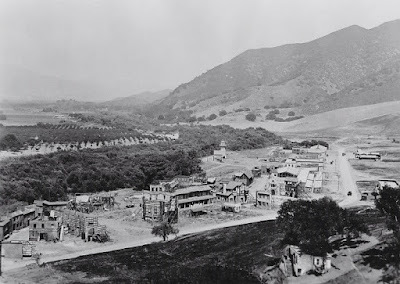 For the most part, I just couldn't come up with much at all on Mr. Bergerman, so I thought maybe I could substitute with some photos of the very early days at Universal Studios, where Mr. Bergerman worked. 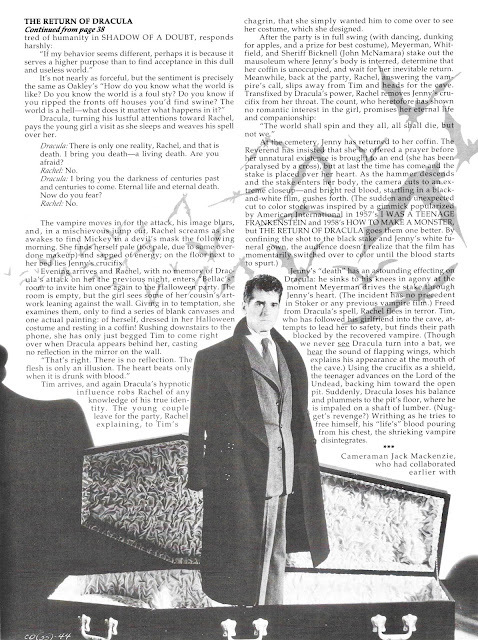 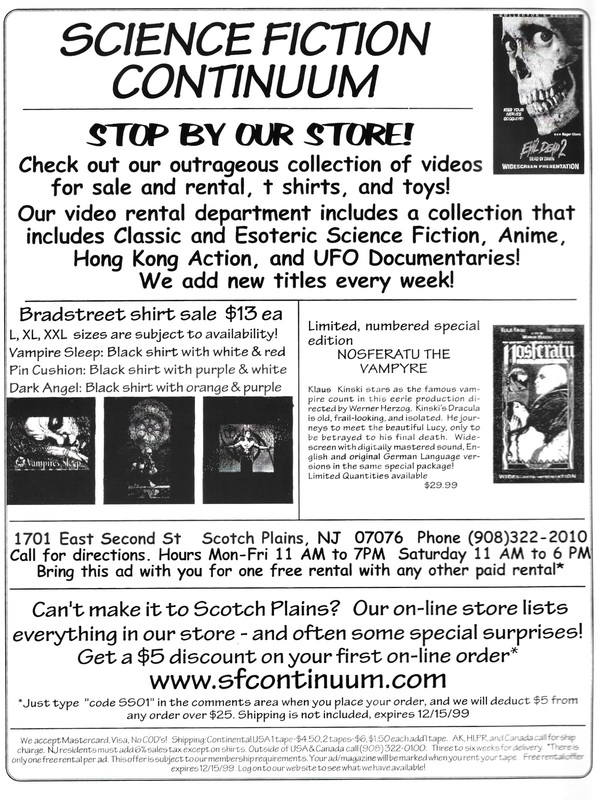 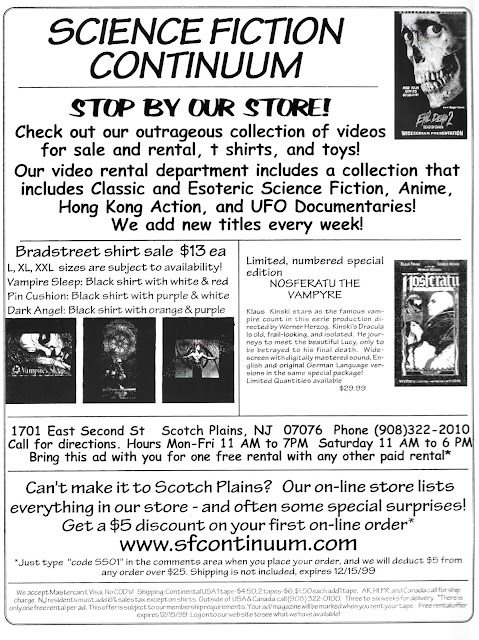 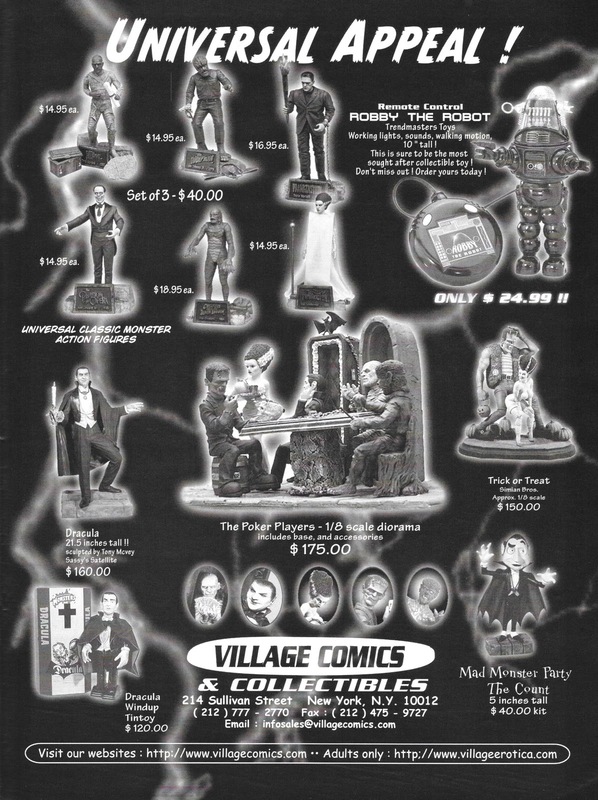 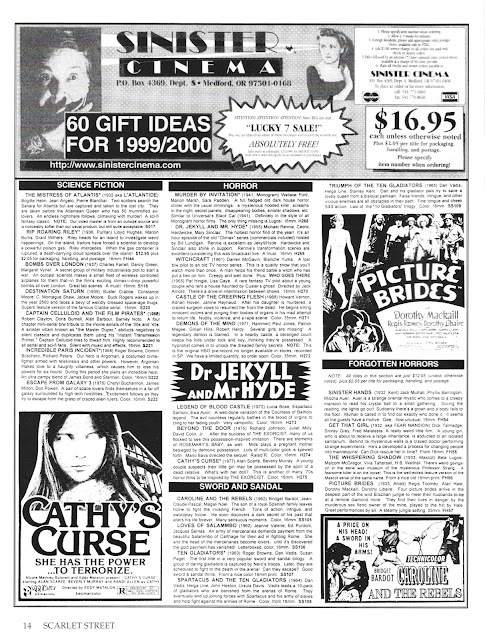 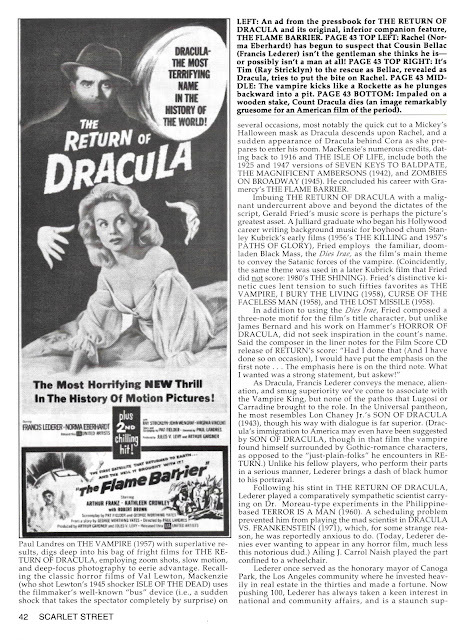 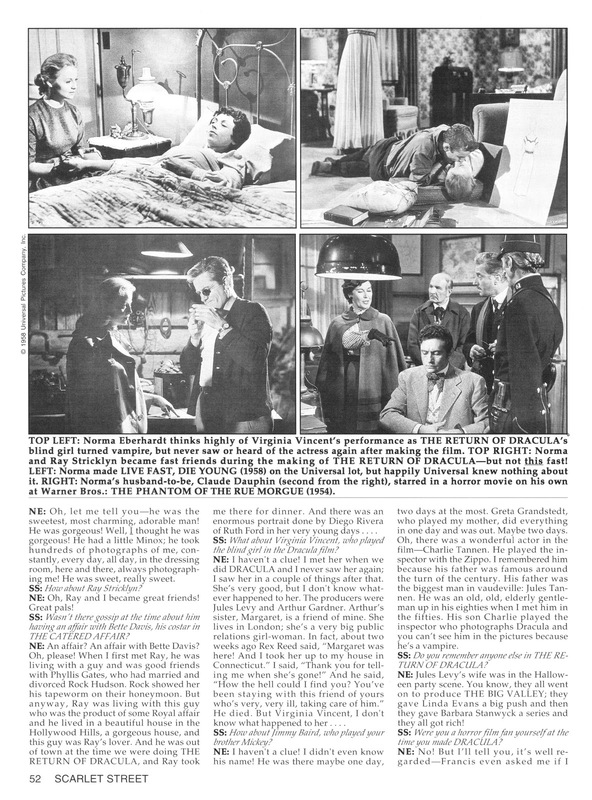 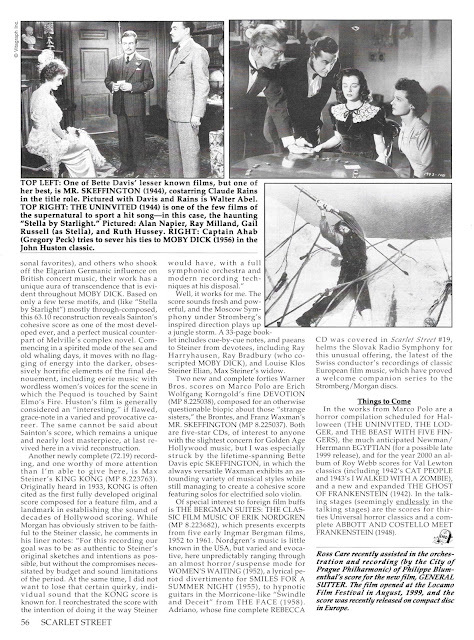 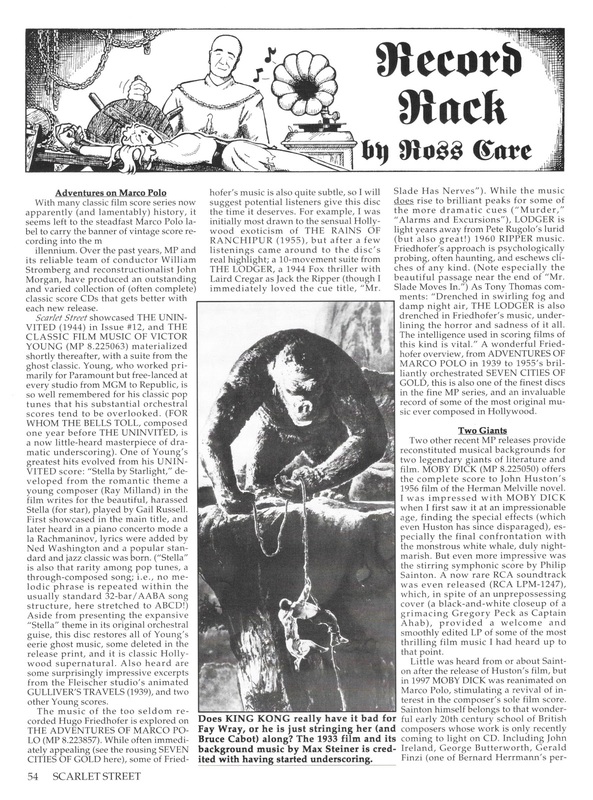 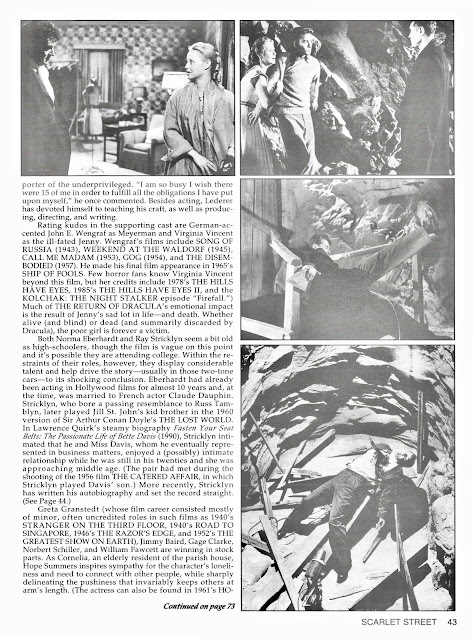 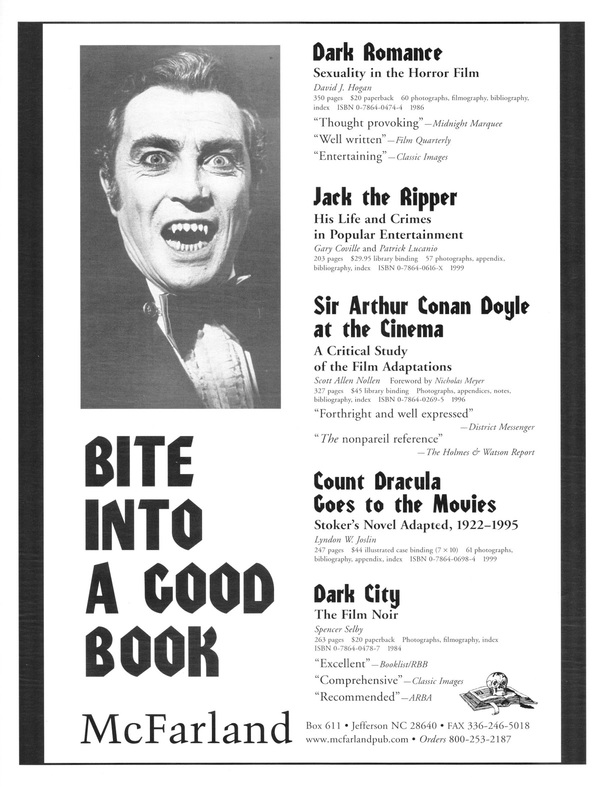 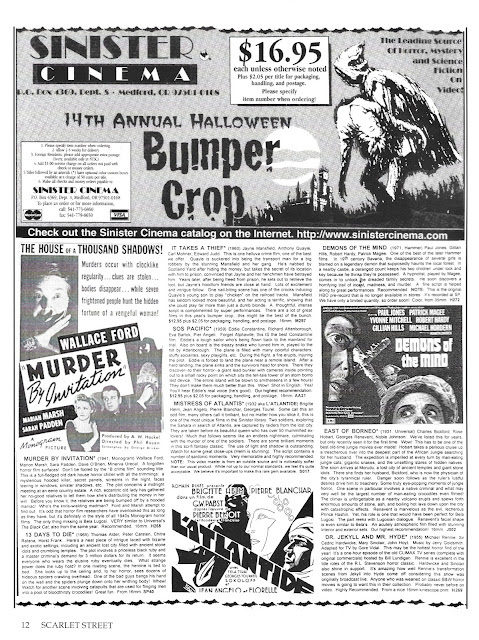 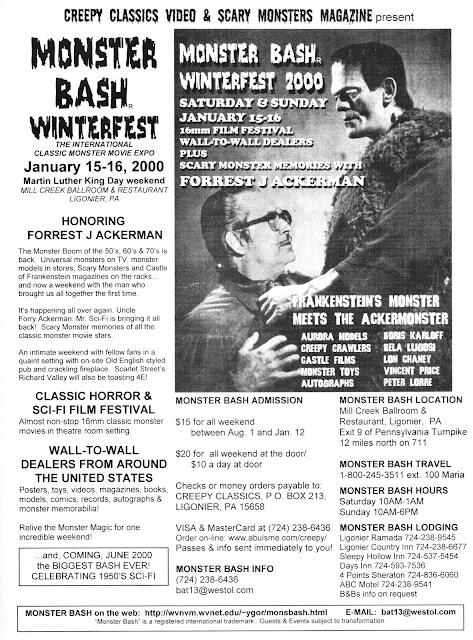 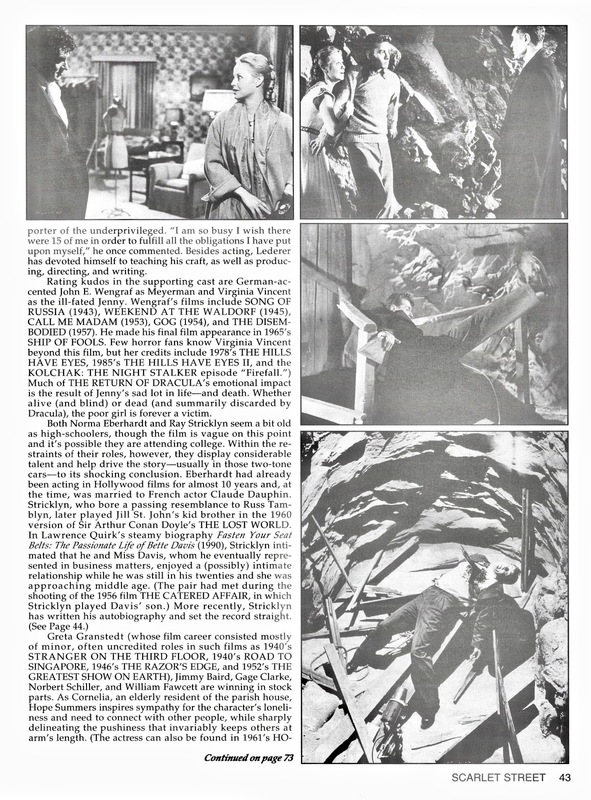 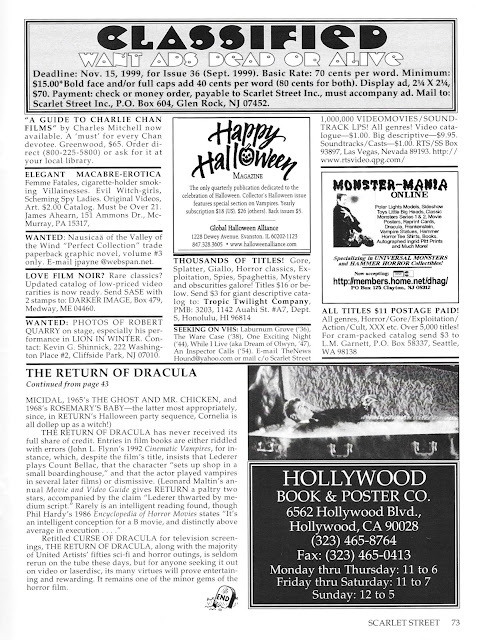 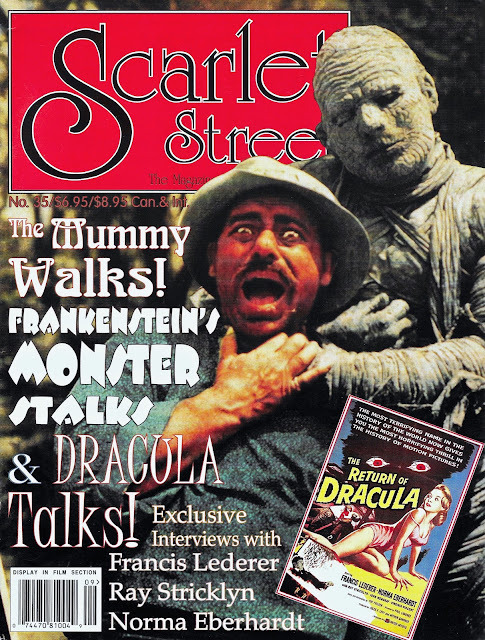 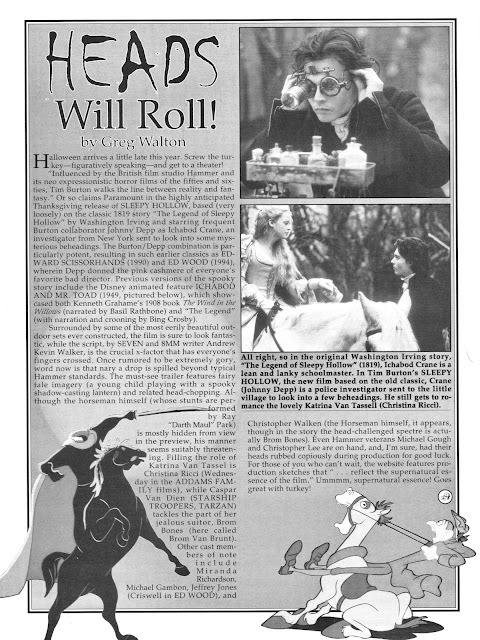 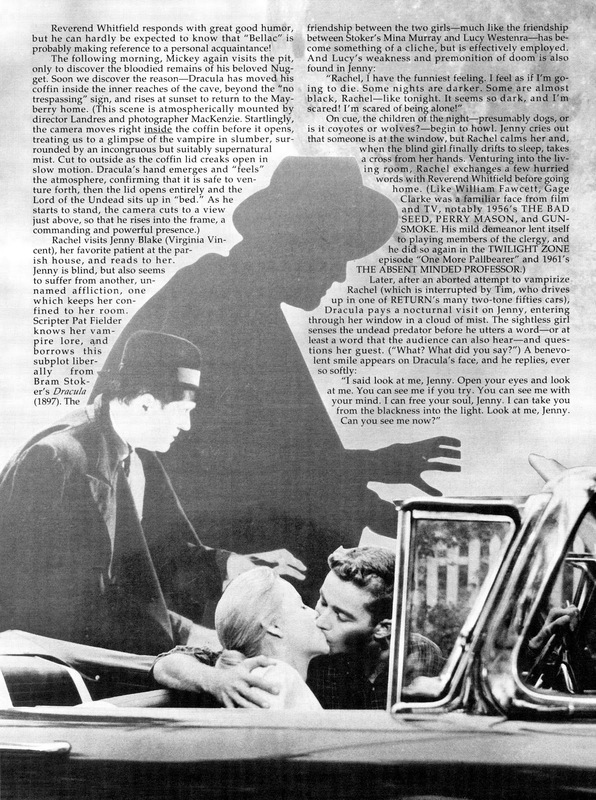 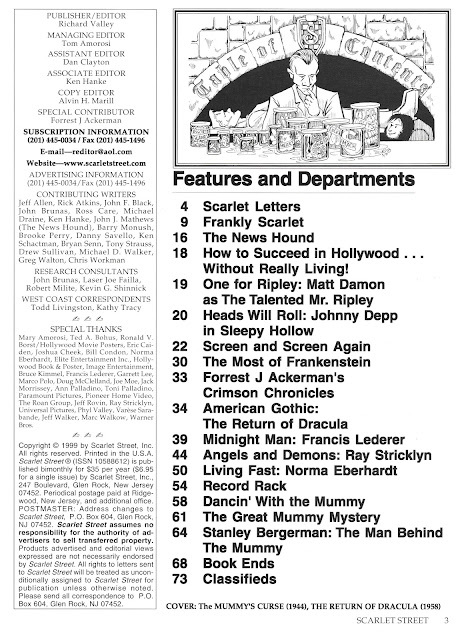 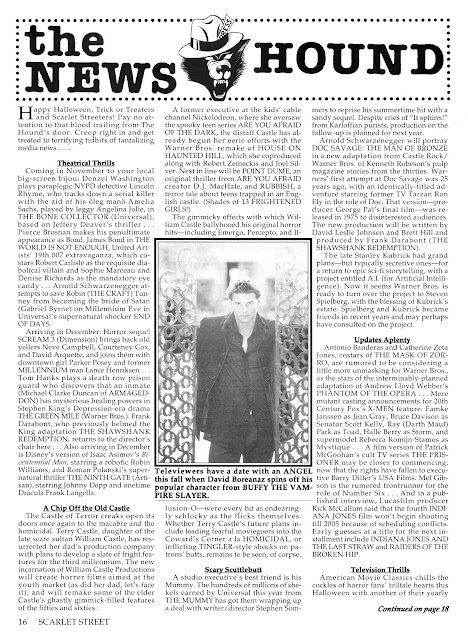 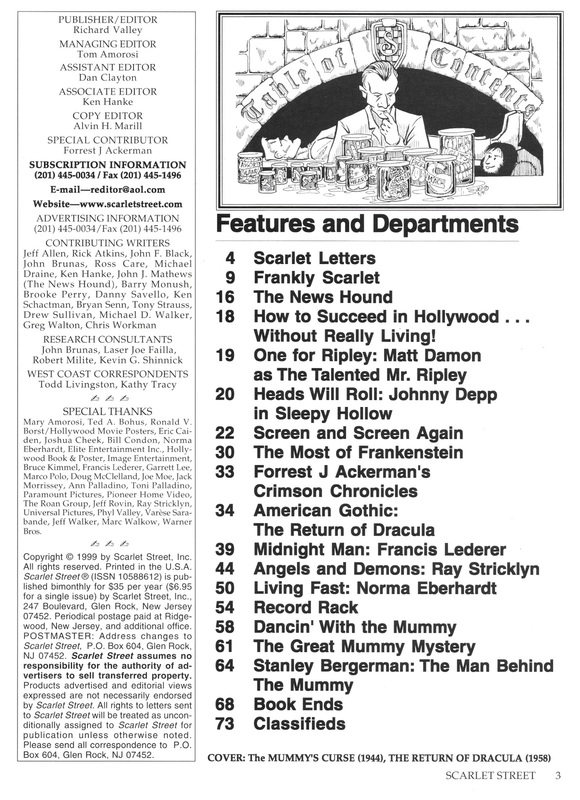 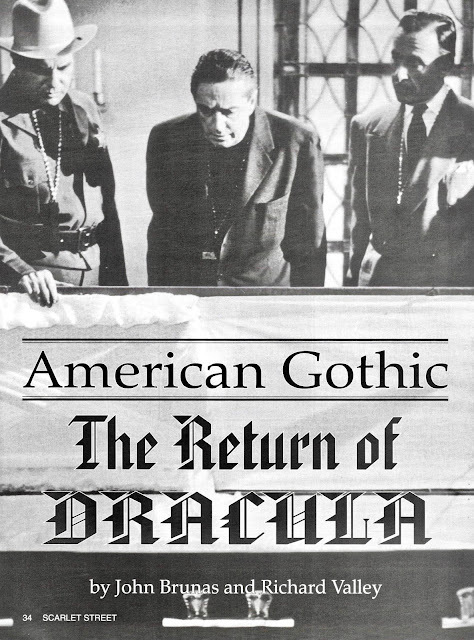 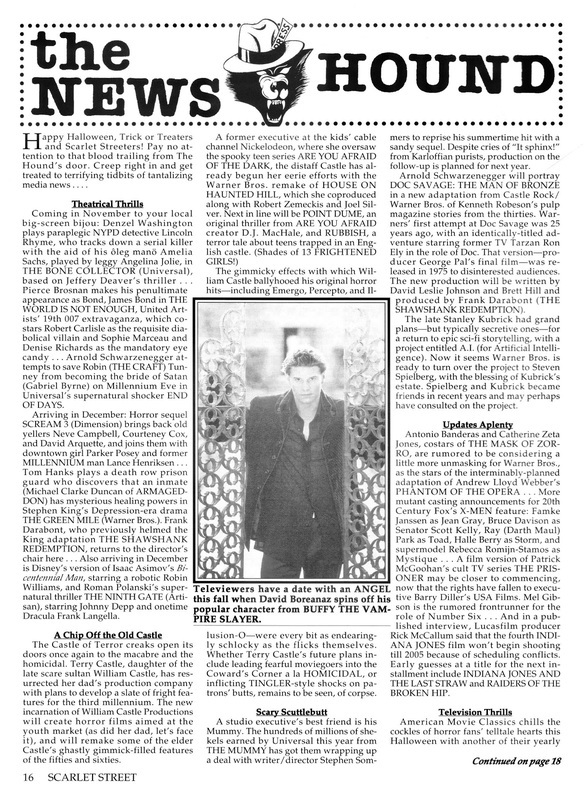 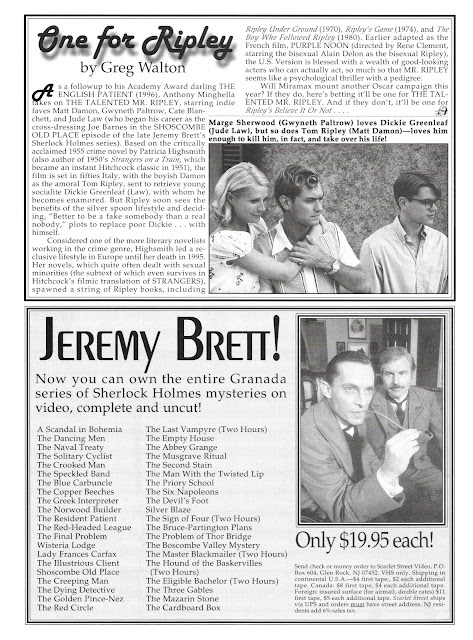 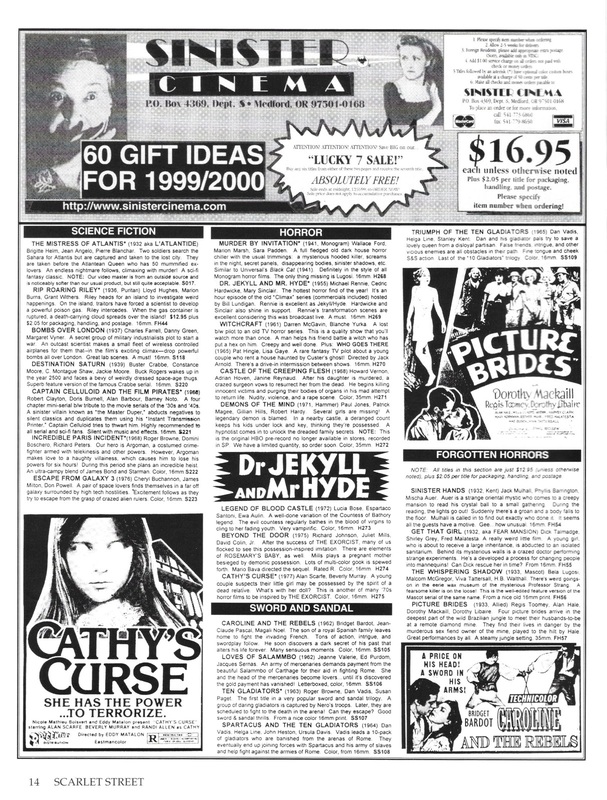 "The Return of Dracula"  was featured in SS #4, so I'd pretty much already exhausted any trove of photos there may be out there. 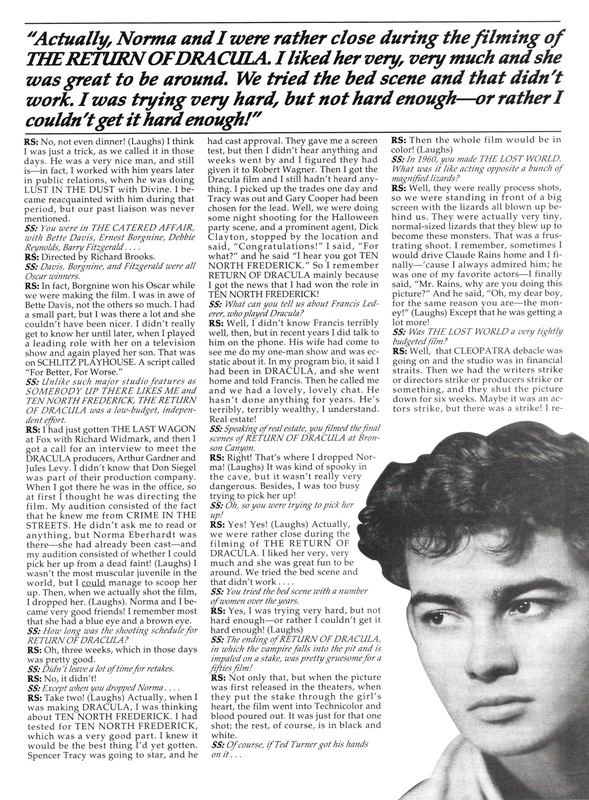 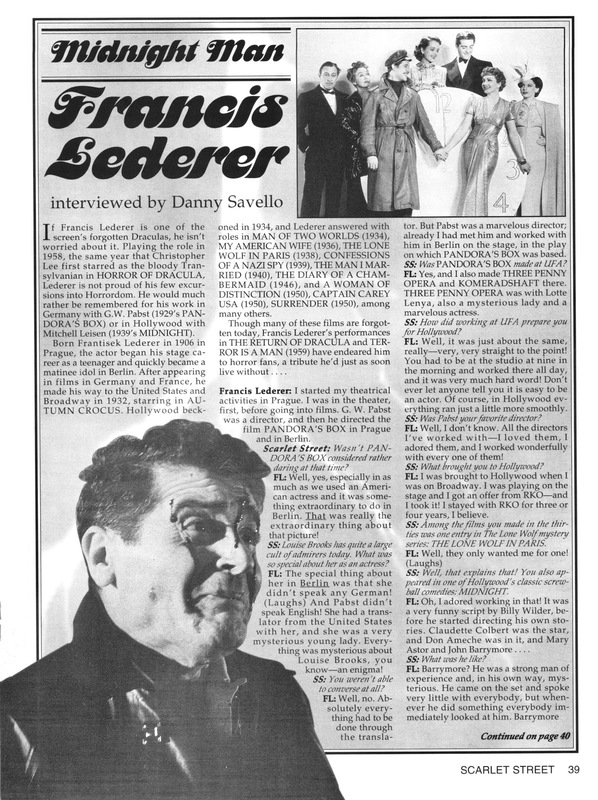 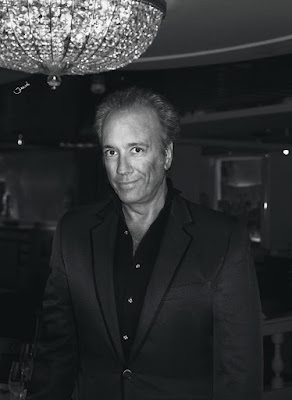 What I decided to do is focus on lead actor Francis Lederer, especially since an interview of him is included, so you will find a lot of photos of him. 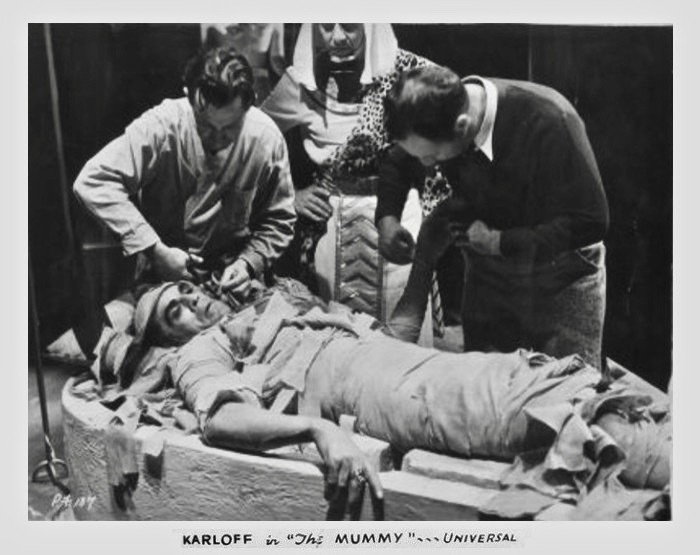 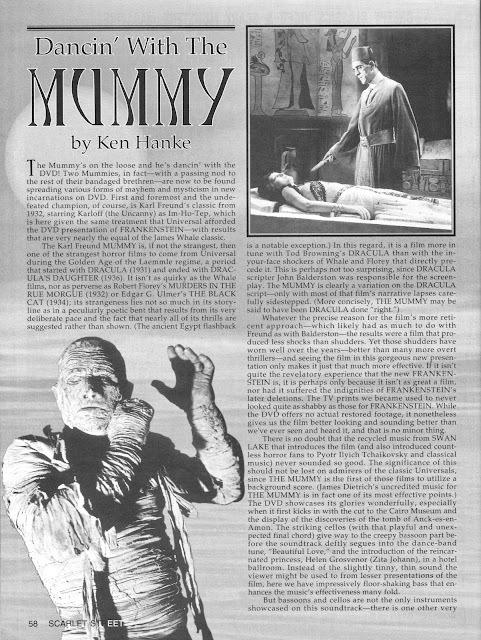 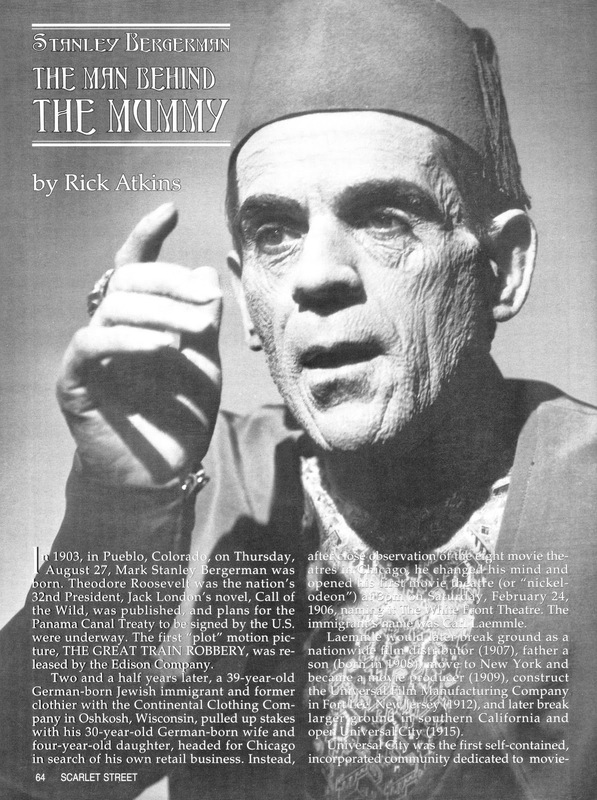 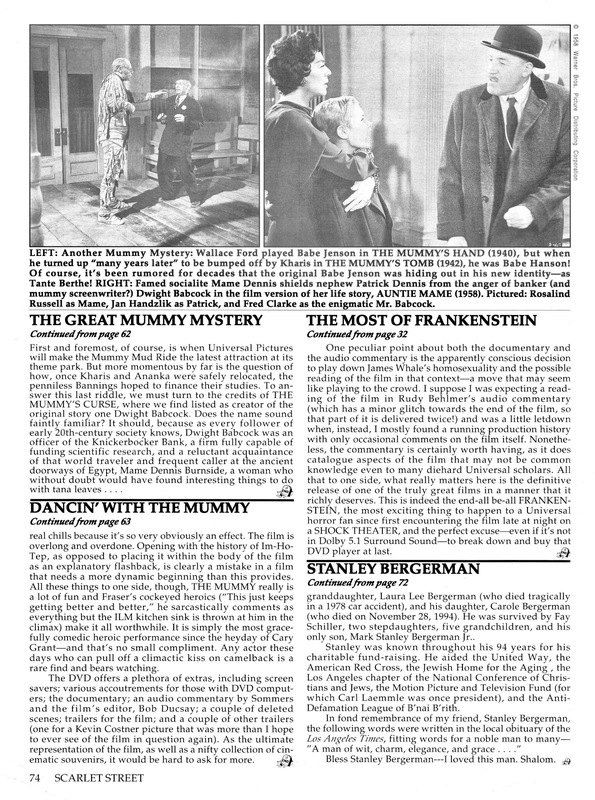 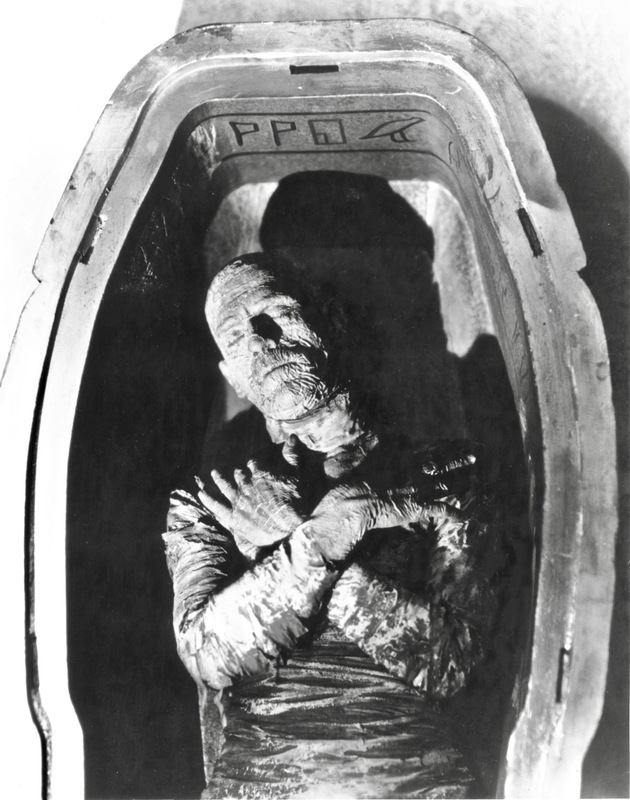 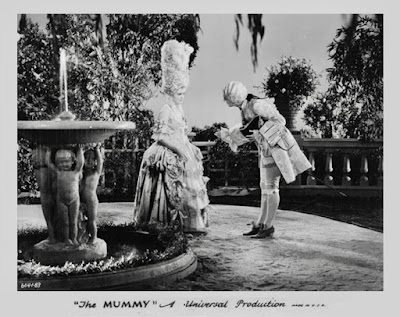 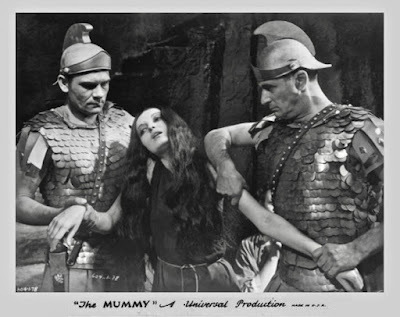 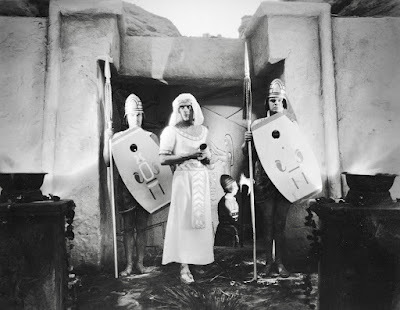 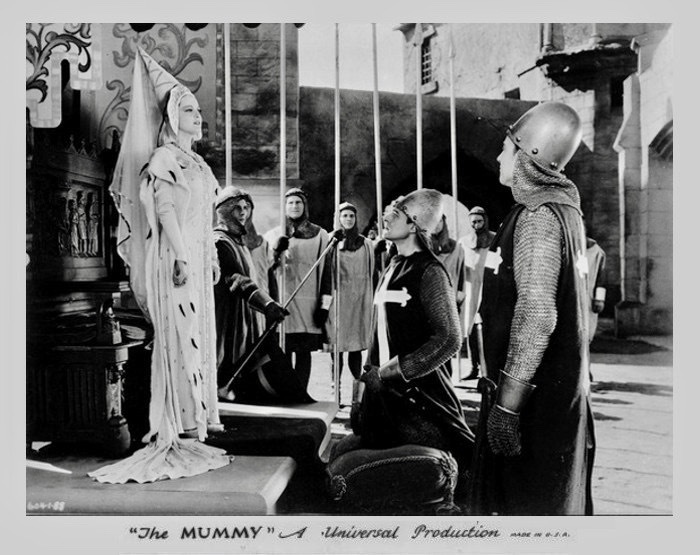 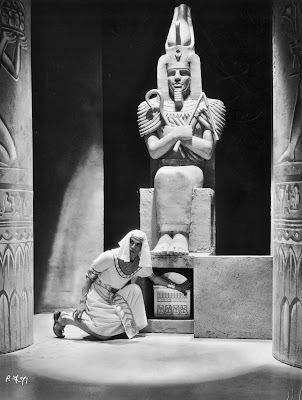 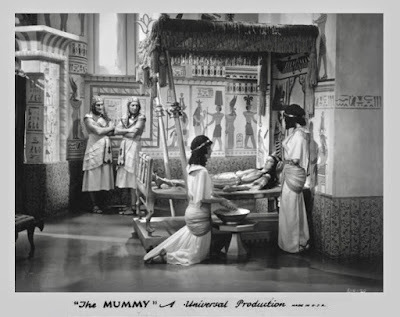 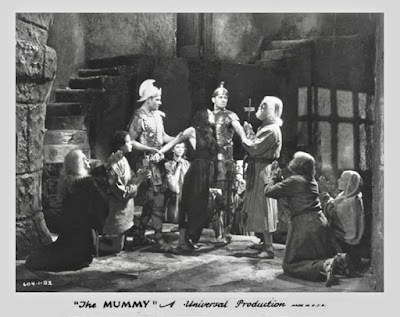 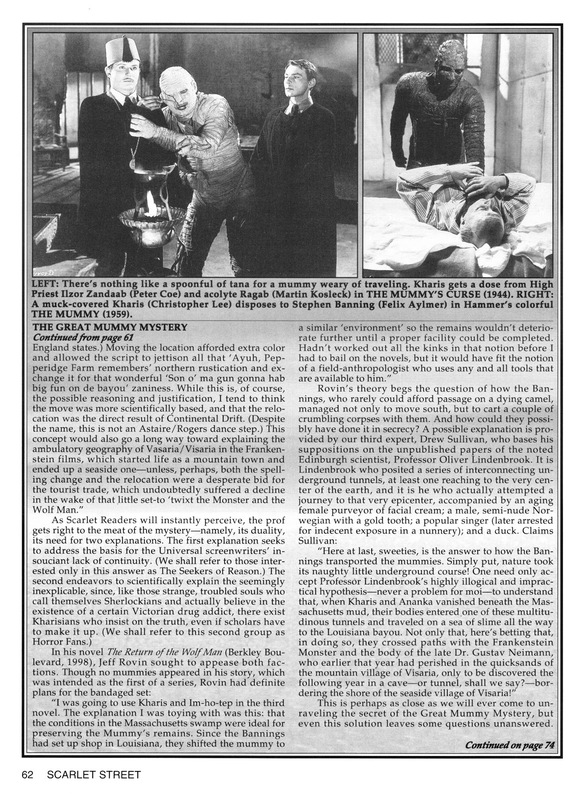 There was no intention of including photos from "Frankenstein"  and "The Mummy"  to celebrate their debut on the DVD format, but I just happened to stumble across a few that I really thought should not be passed up, in particular the deleted scenes focusing on the many reincarnations of the Zita Johann character from "The Mummy". My only wish is that they had been larger so you could see more detail, but I still feel they are worthwhile. 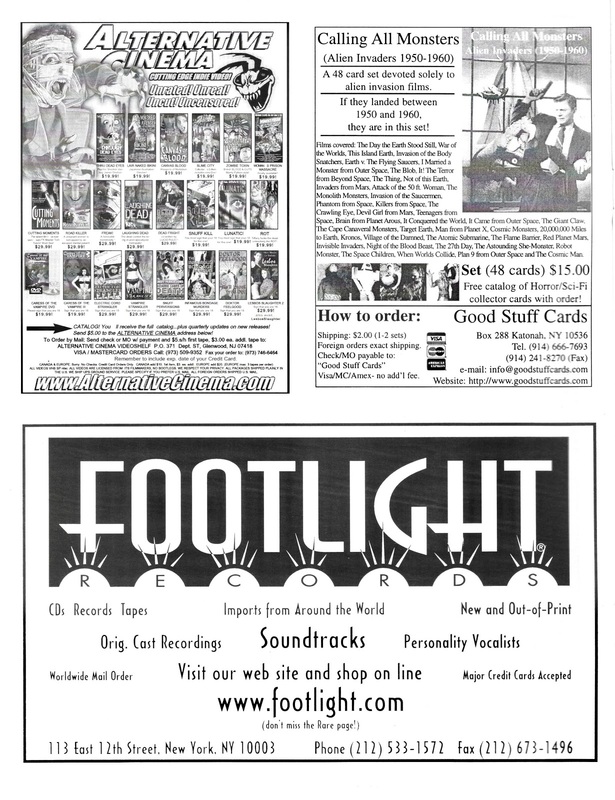 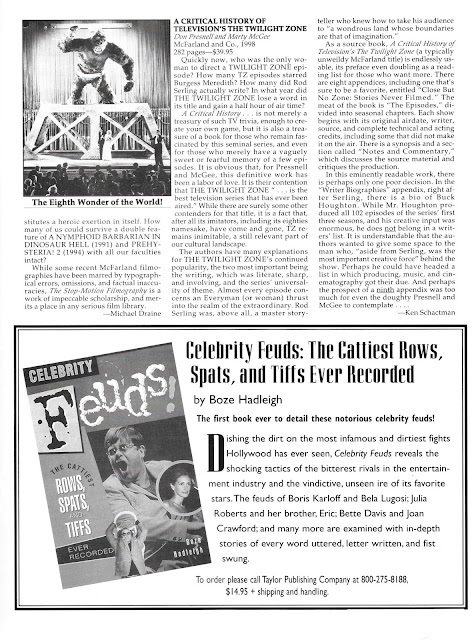 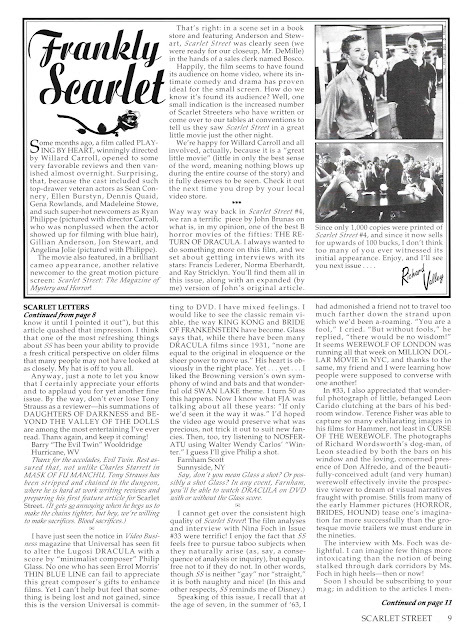 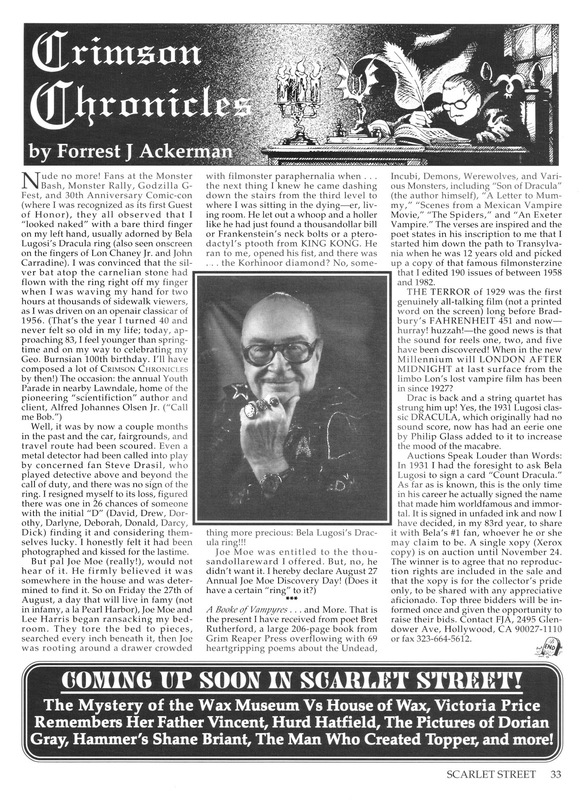 Finally, I wish to make mention of Rick McKay, also a guest writer for Scarlet Street, who passed away at the end of January. 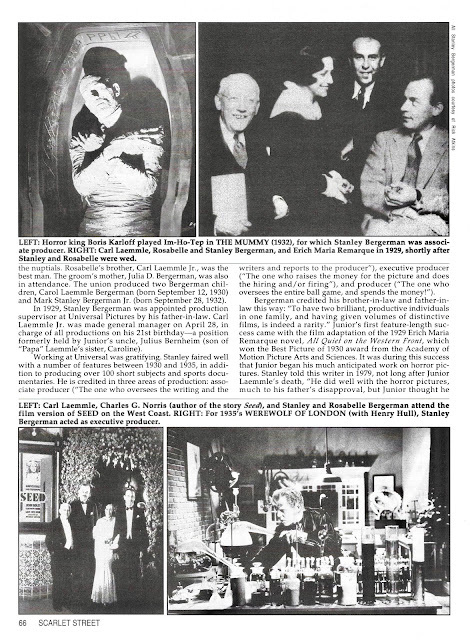 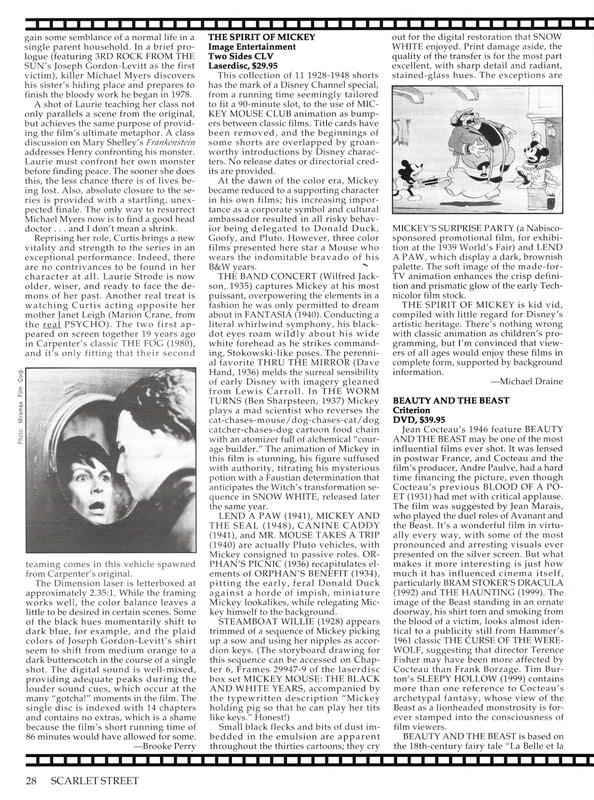 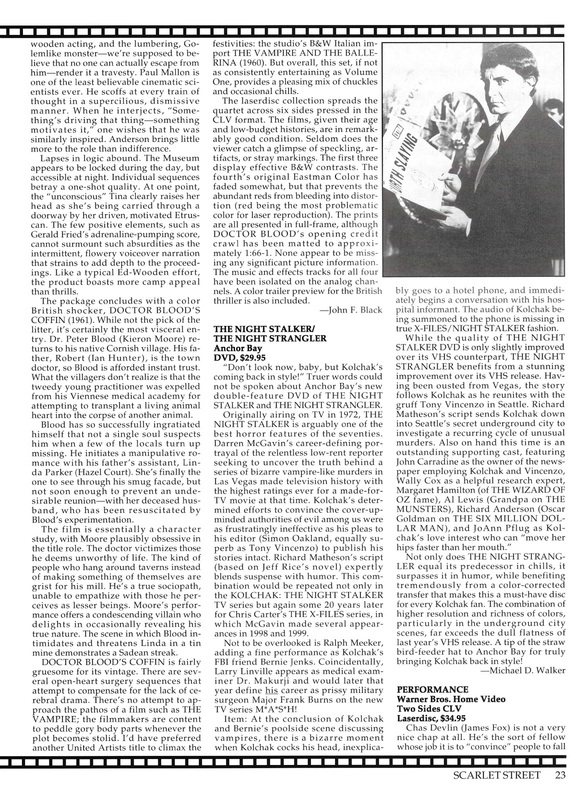 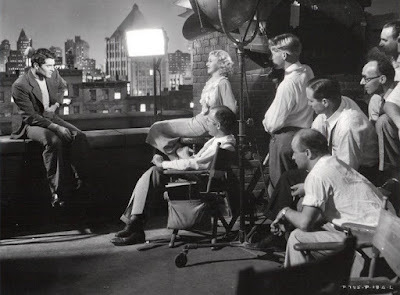 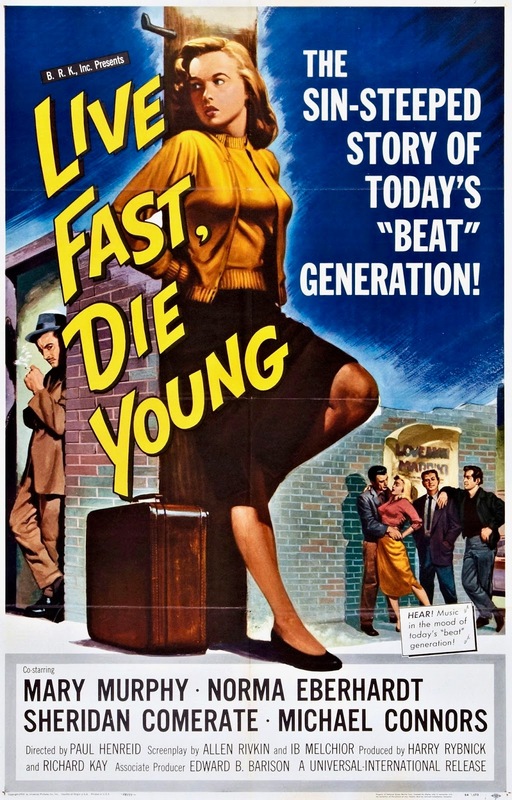 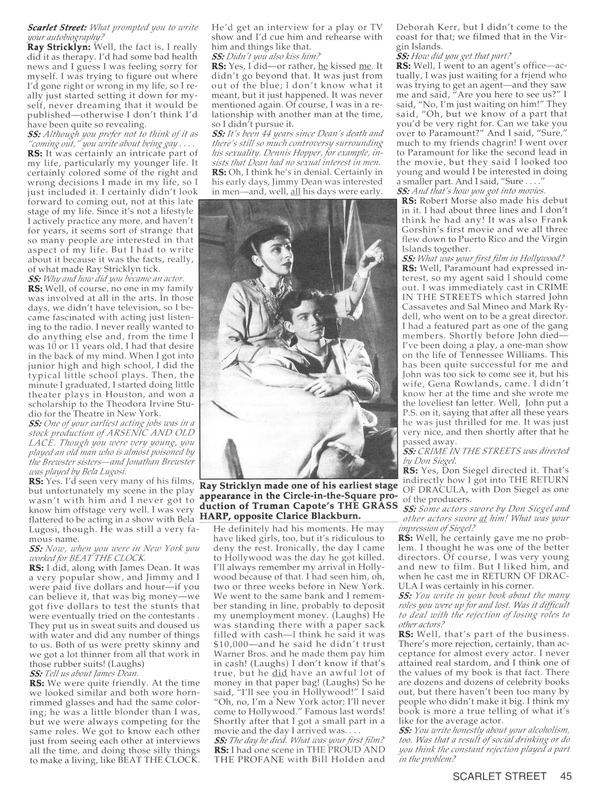 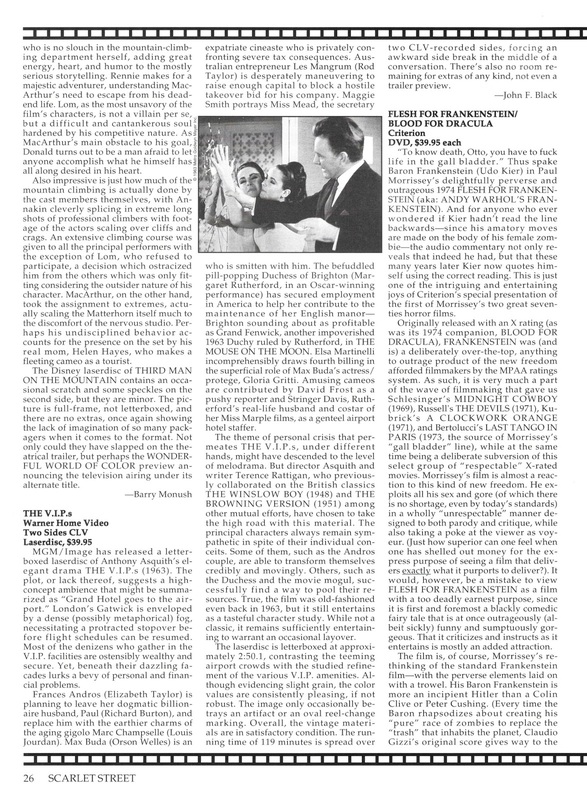 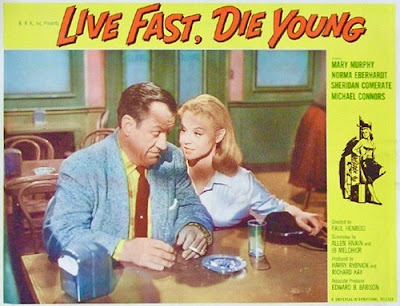 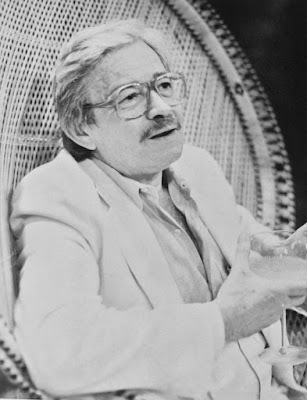 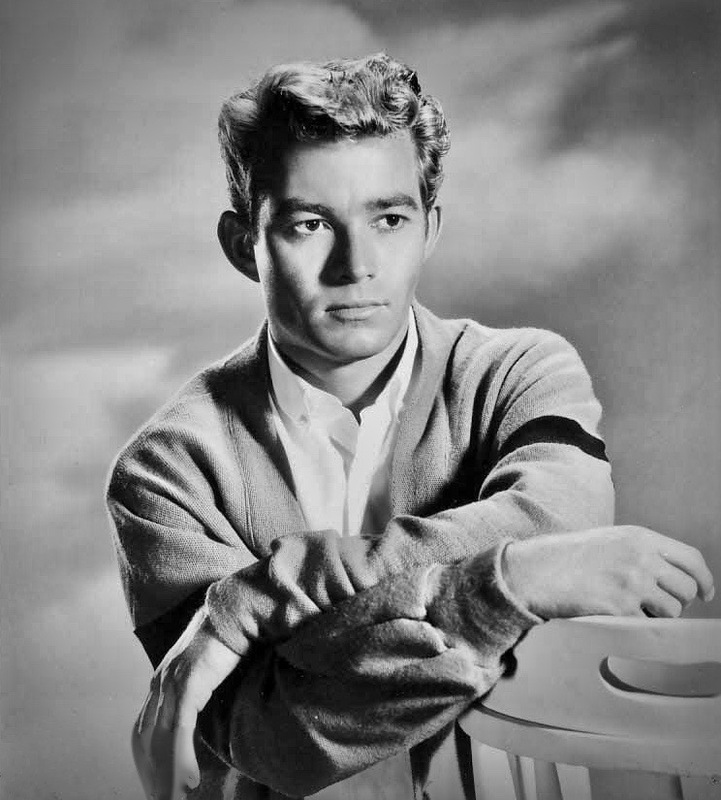 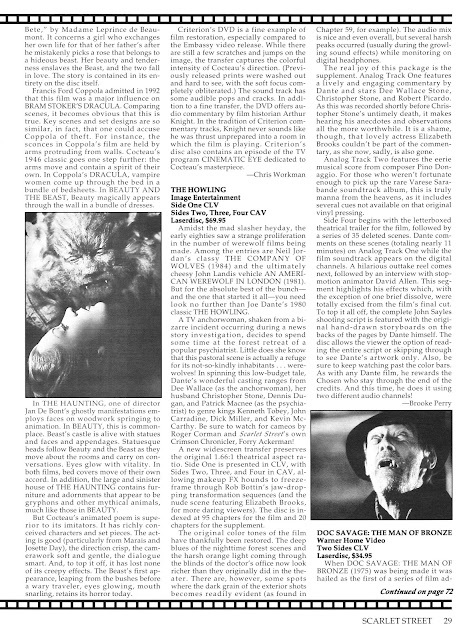 Mr. McKay contributed a handful of articles to the magazine, most notably interviews with David Manners and Fay Wray and it was a shock to hear of his passing, especially being still so young and vibrant and heavily involved with his work on Broadway. 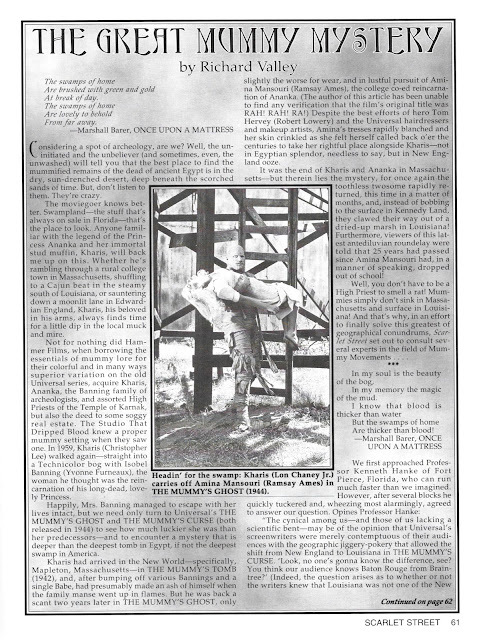 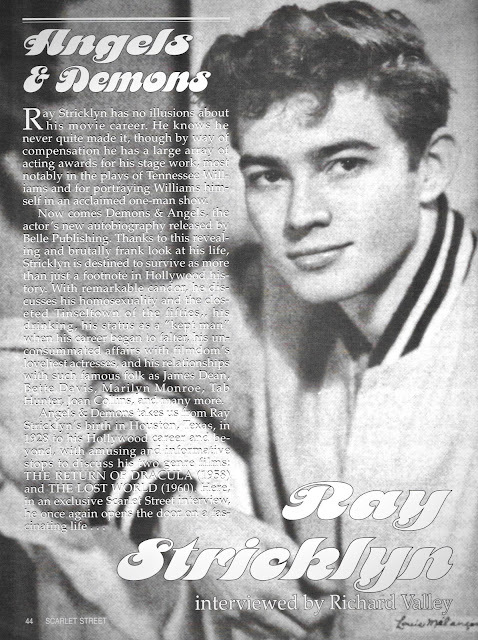 Rick McKay will definitely be missed and I wish to dedicate this issue posting to his memory. 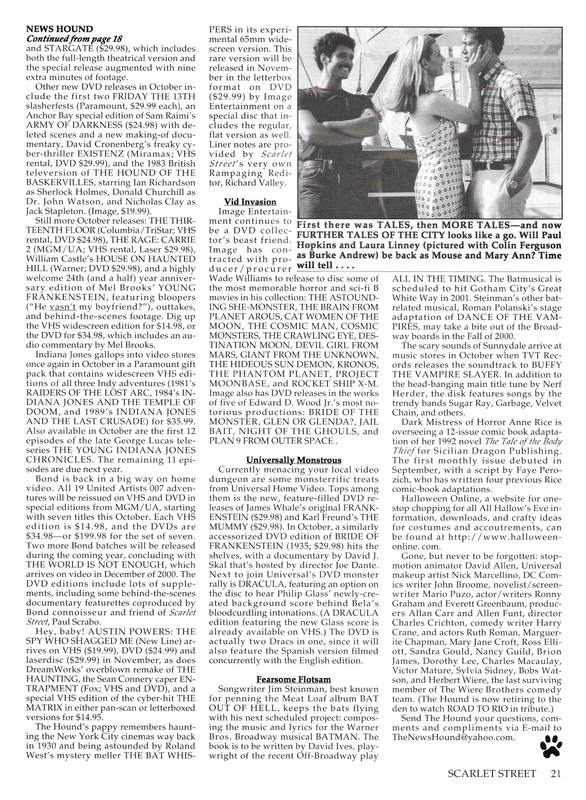 The best we can do for our now missing-in-action loved ones is to keep the Peace & Love alive. 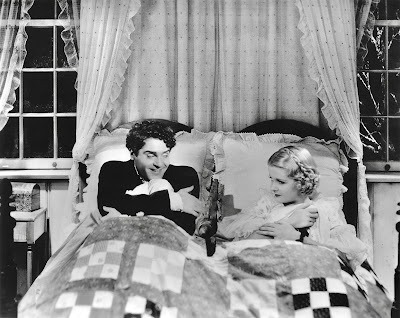 Happy "Love Month" of February, and Happy St. Valentine's Day. 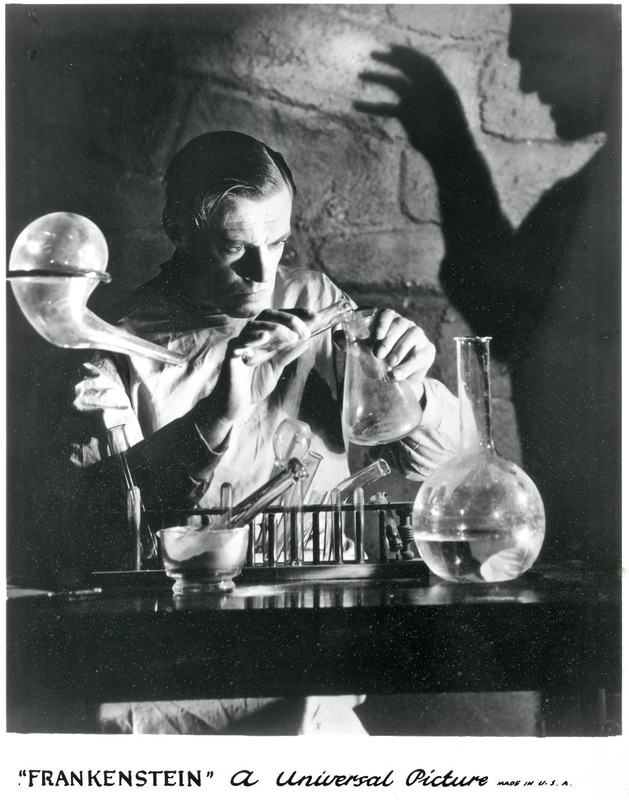 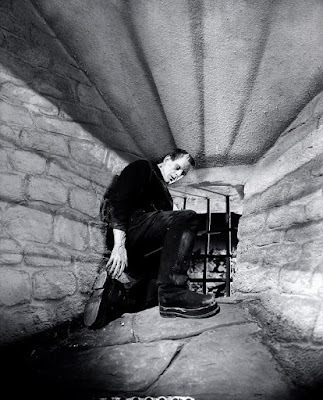 *Colin Clive (above) and Boris Karloff (below). 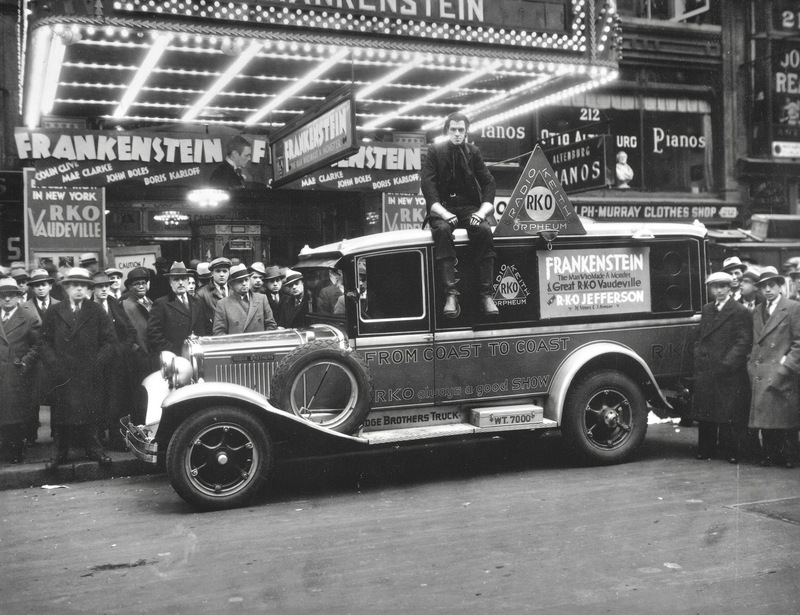 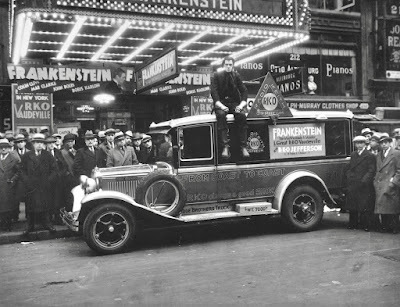 *"Frankenstein" in its first run . 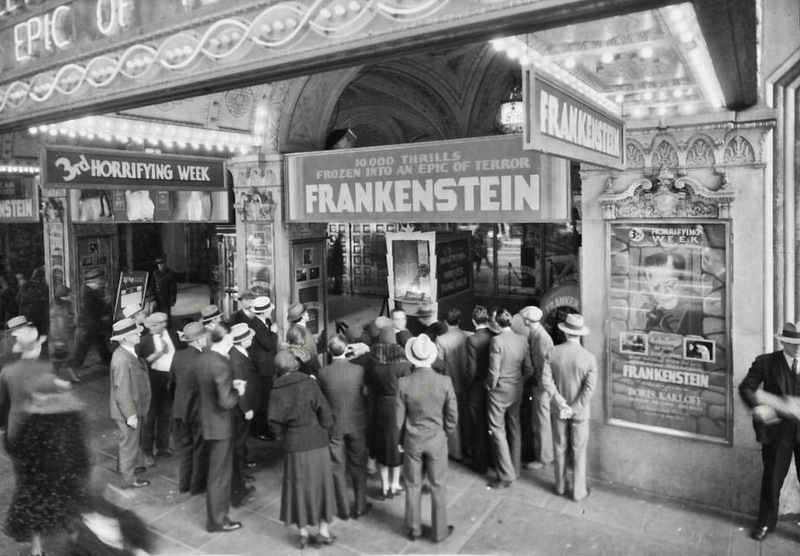 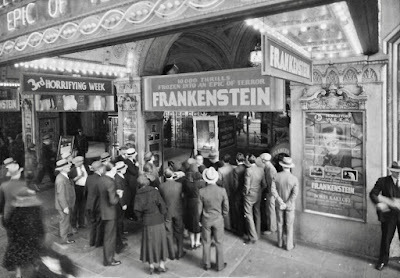 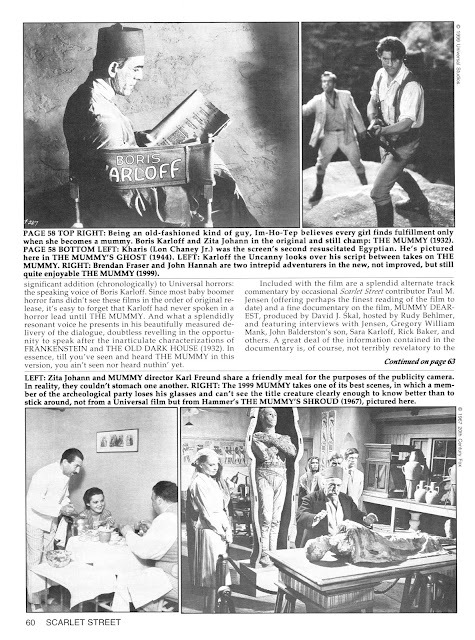 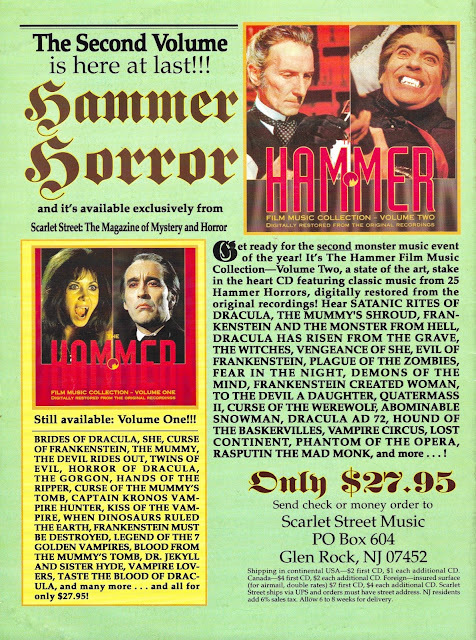 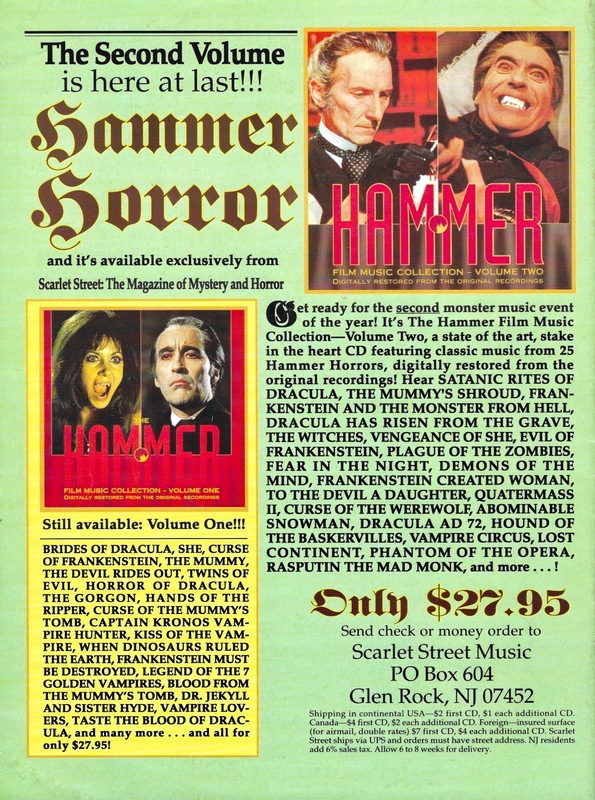 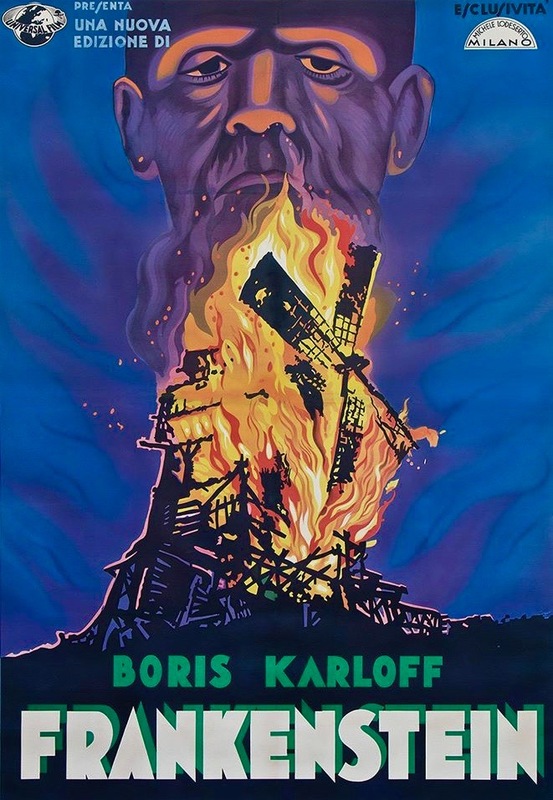 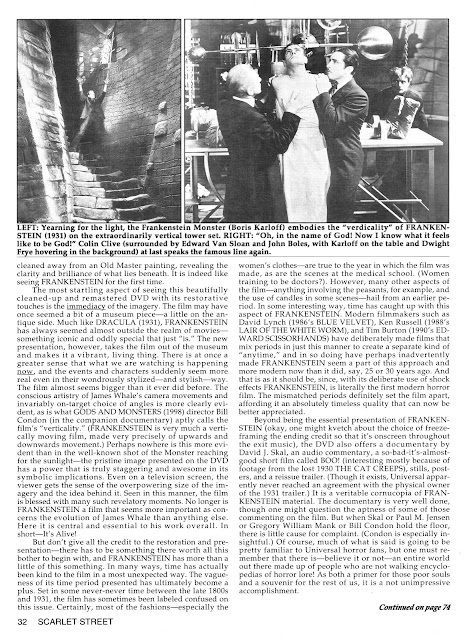 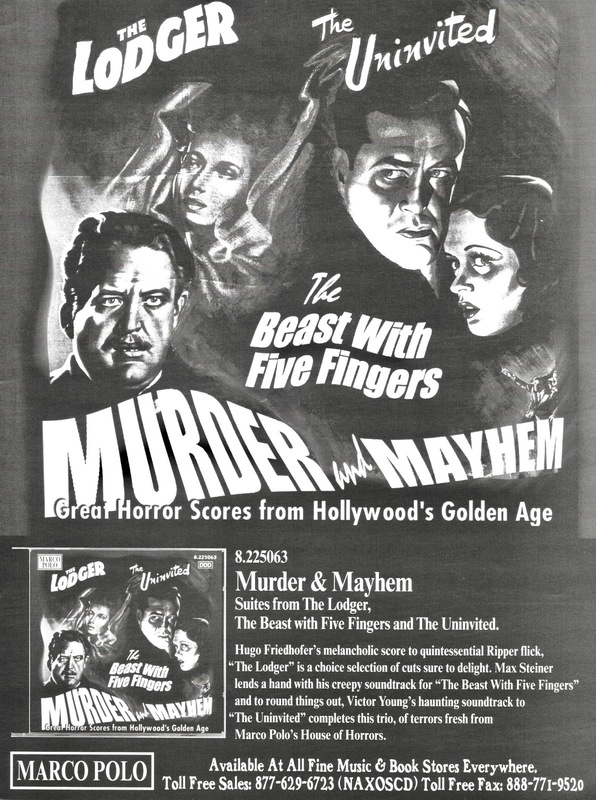 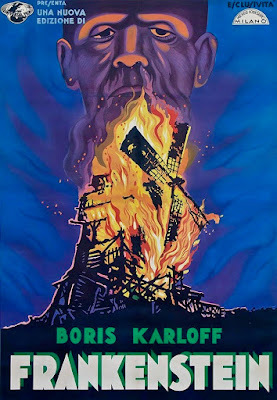 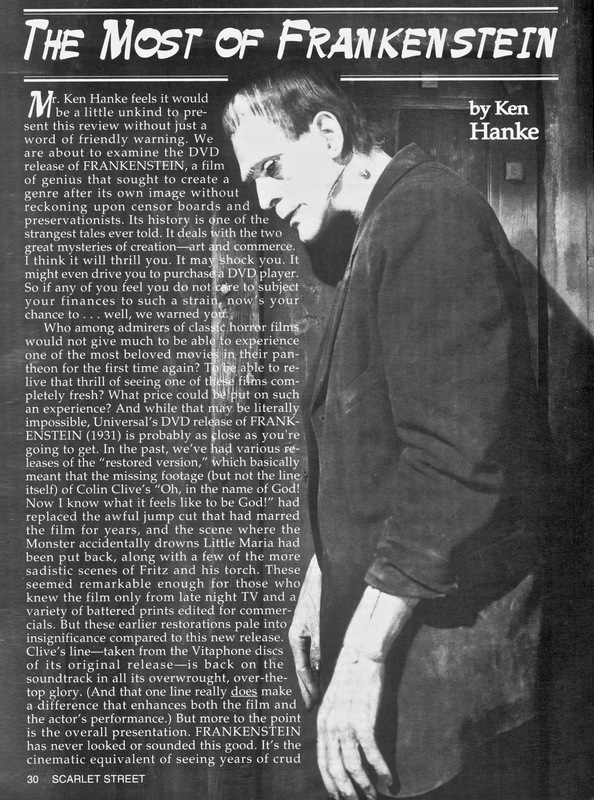 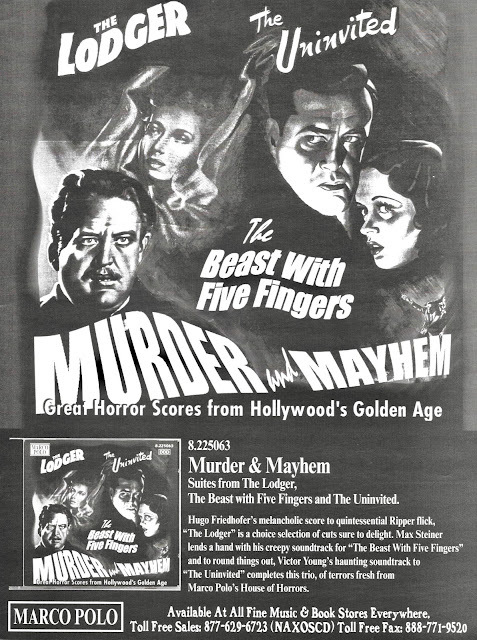 *Foreign artwork for "Frankenstein" (above) and Dwight Frye (below). 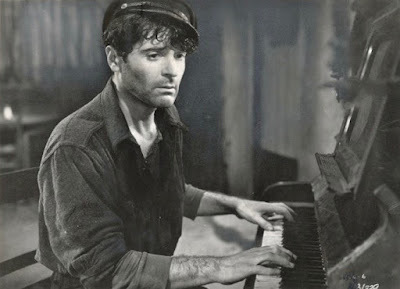 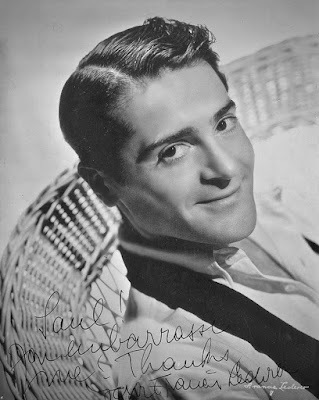 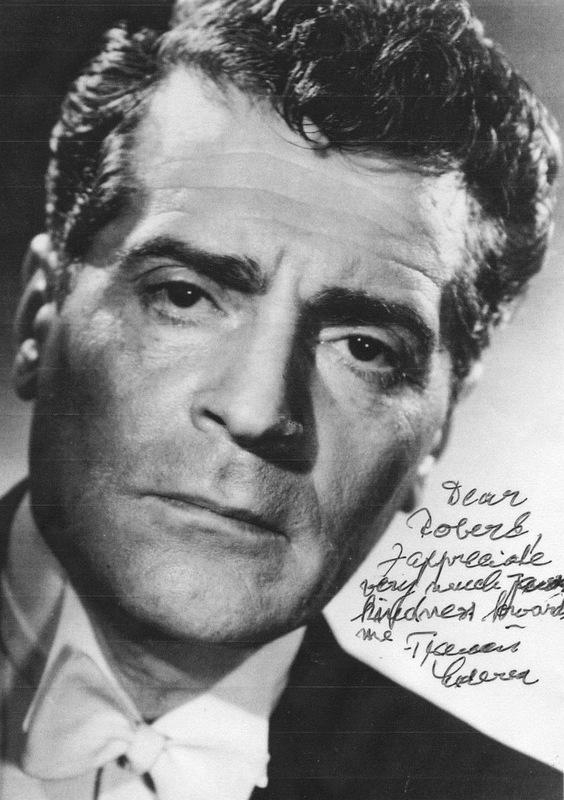 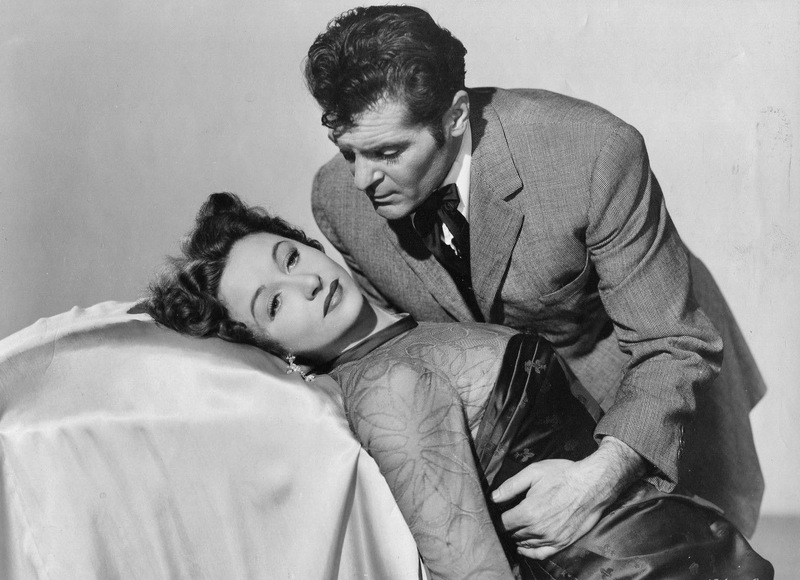 *Francis Lederer in "Voice In The Wind" (above) from 1944. 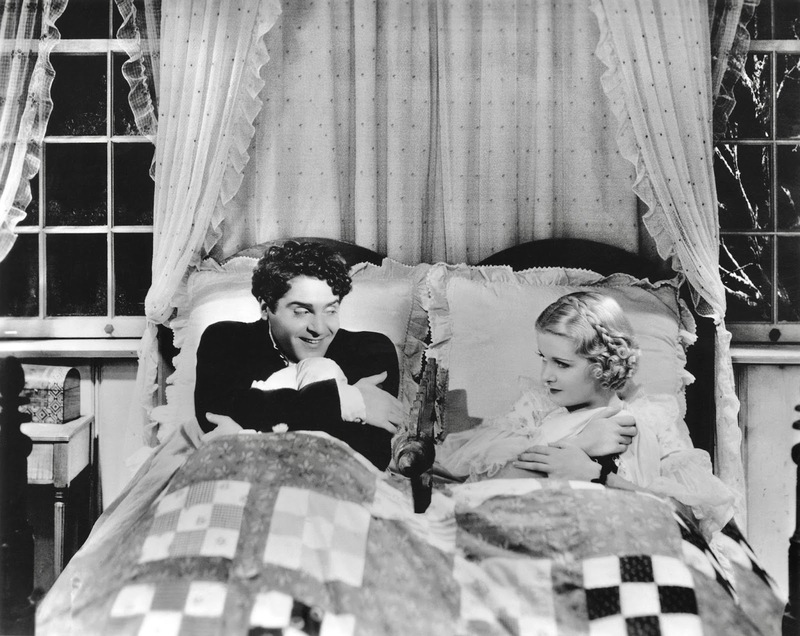 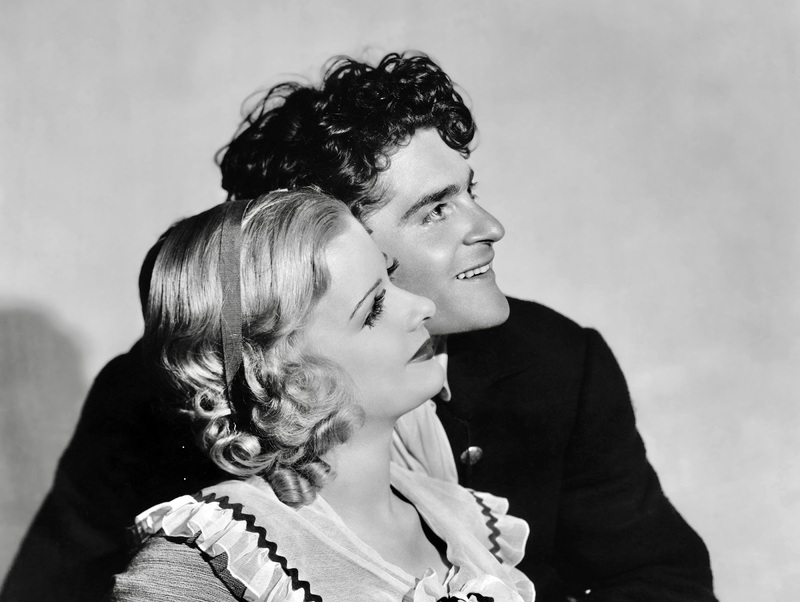 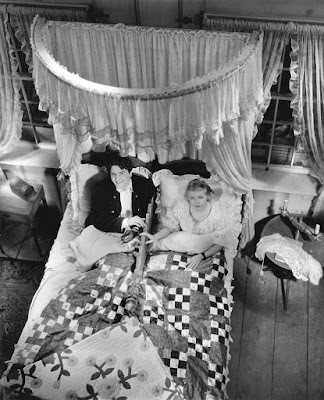 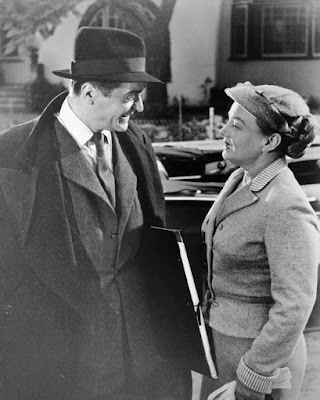 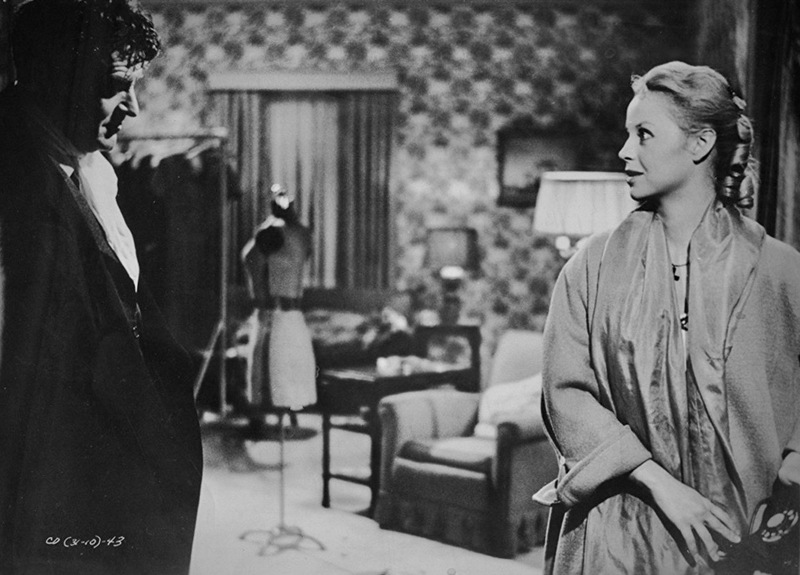 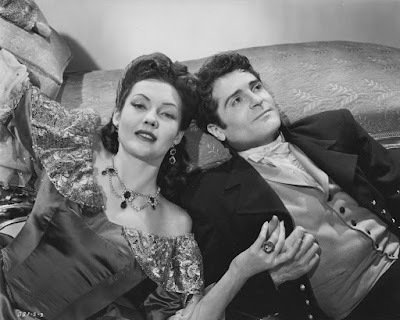 *Francis Lederer & Joan Bennett in "The Man I Married" (below) from 1940. 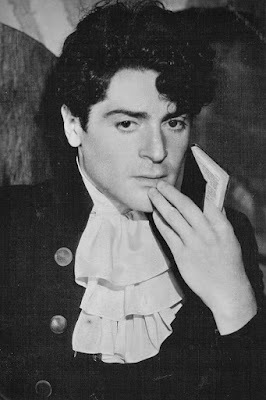 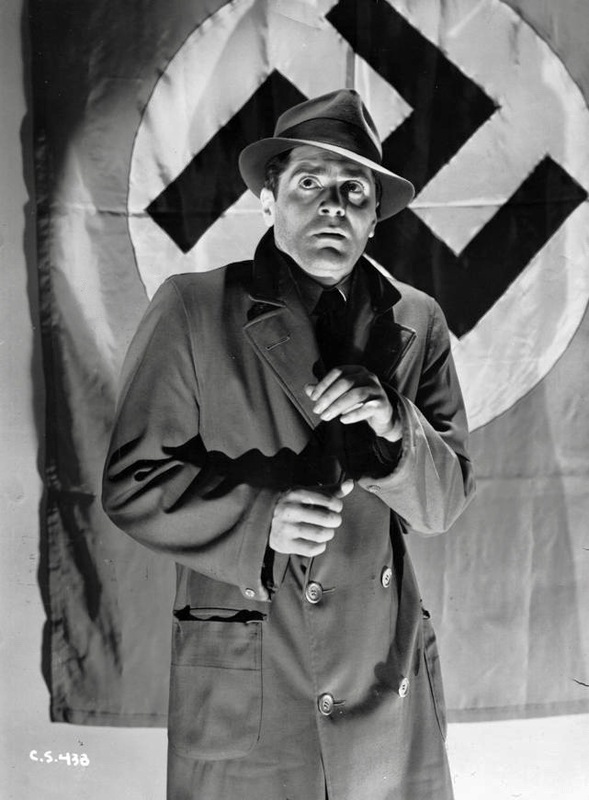 *Francis Lederer in "The Pursuit of Happiness" (above) from 1934 and in "Confessions of a Nazi Spy" (below) from 1939. *Frances Lederer with Lynn Bari in "Bridge of San Luis Rey" (above) from 1944 and with Vera Ralston in "Surrender" (below) from 1950. 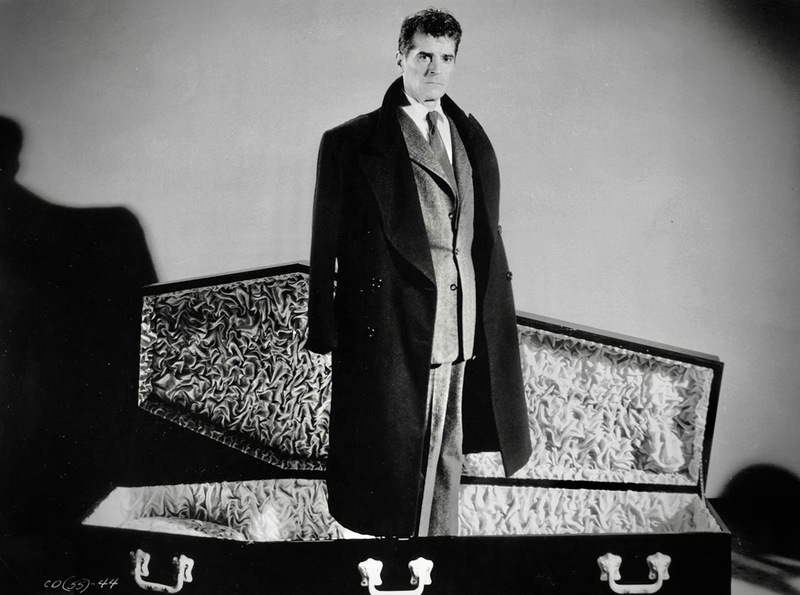 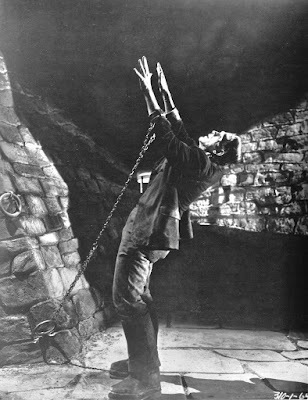 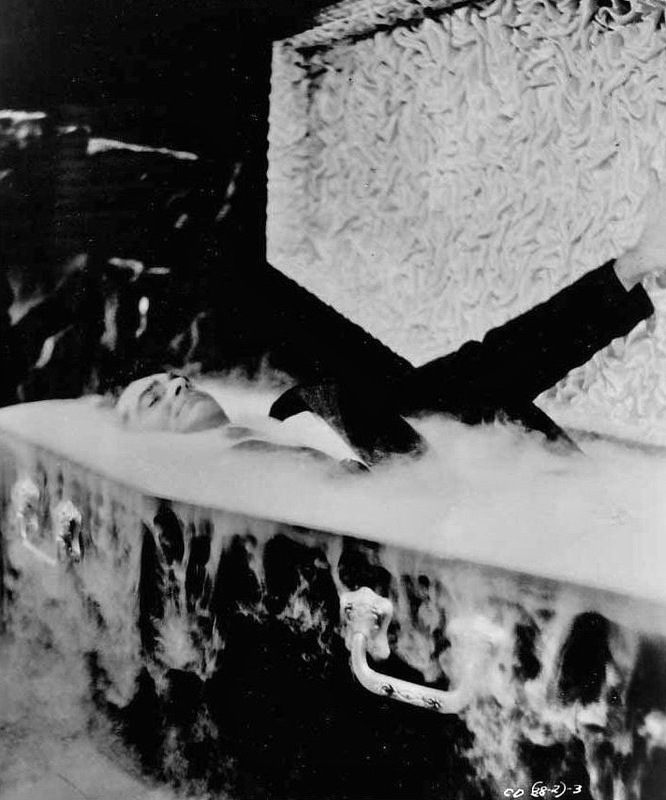 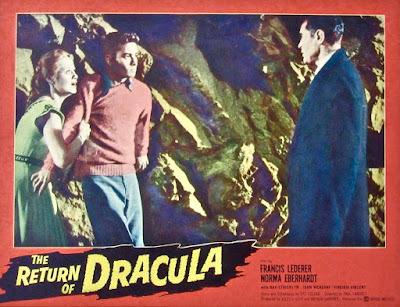 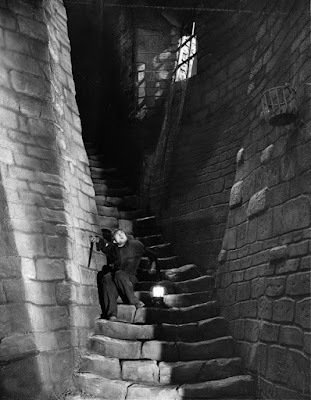 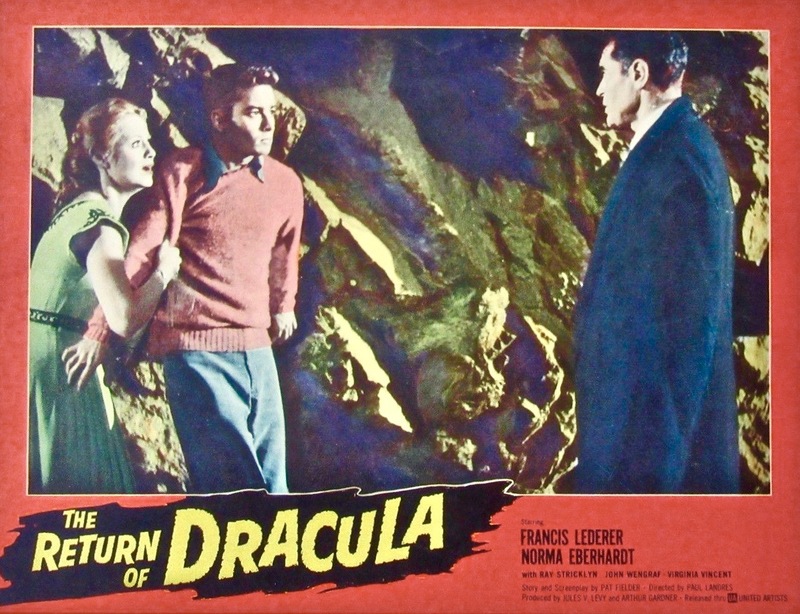 *Francis Lederer in a still from "The Return of Dracula"  below. 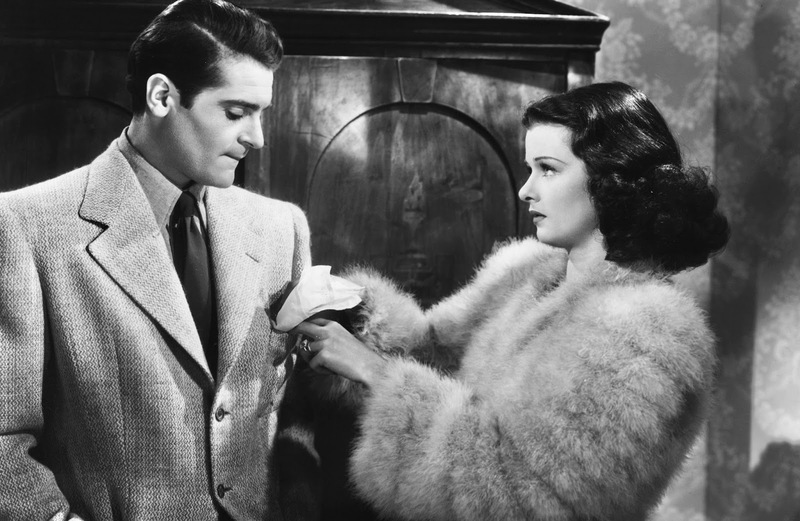 *Francis Lederer and Joan Bennett in "The Pursuit of Happiness" . 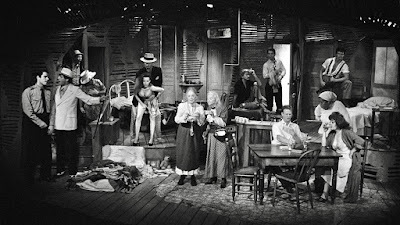 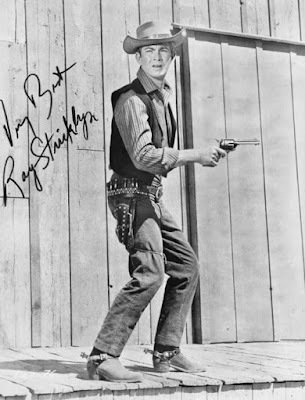 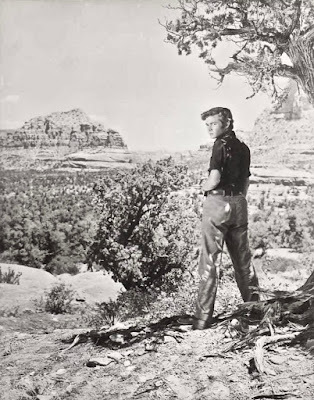 *Ray Stricklyn in "The Last Wagon"  below. 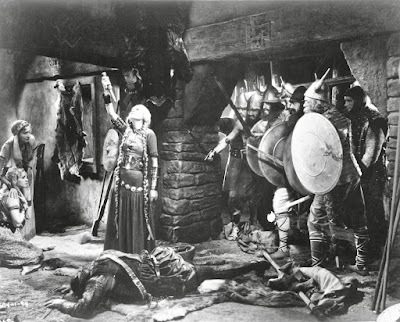 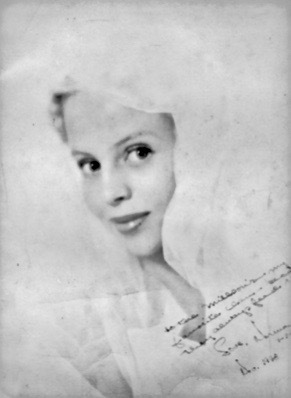 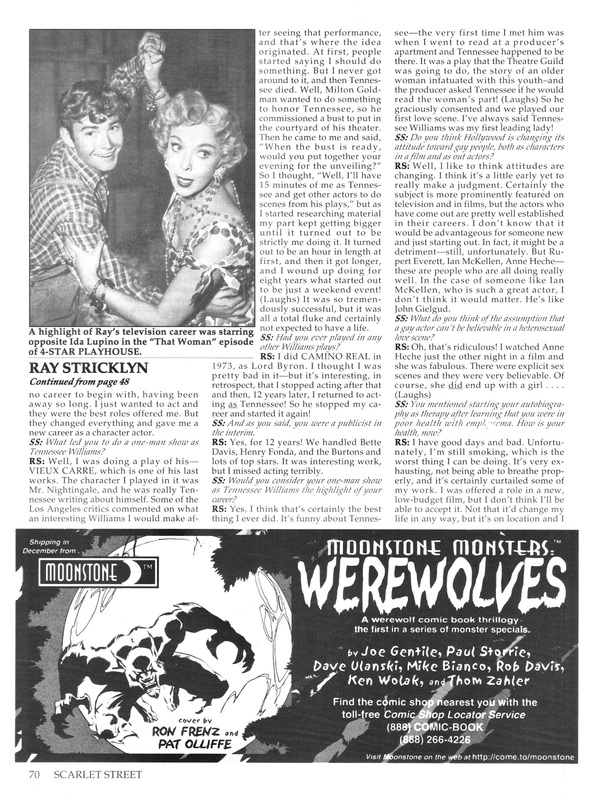 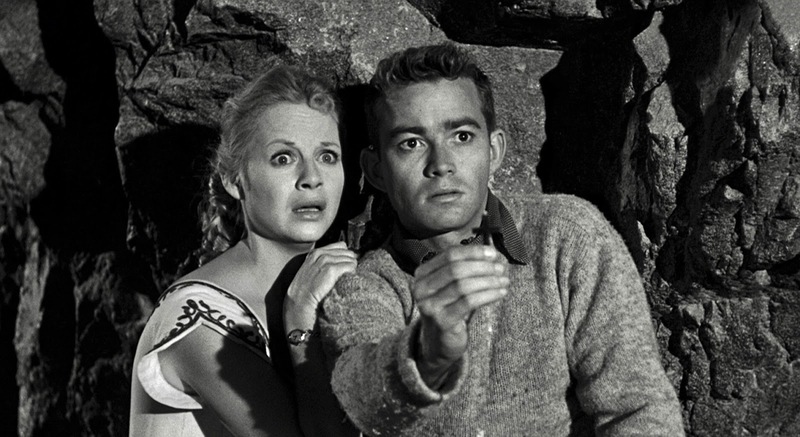 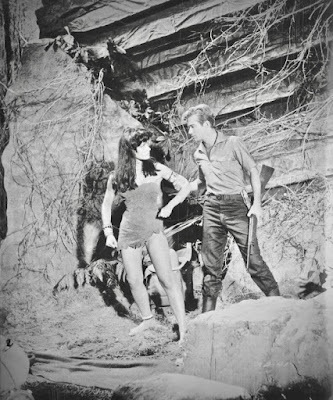 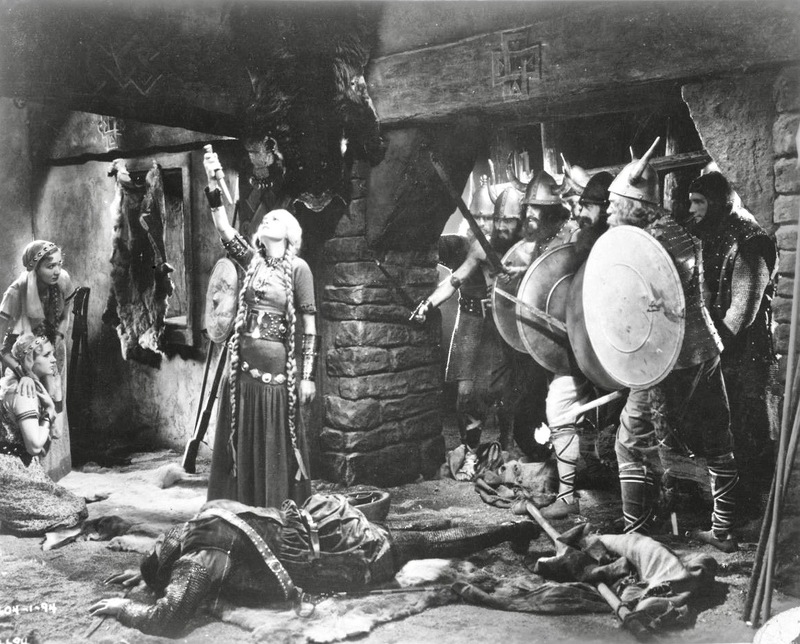 *Ray Stricklyn in "The Plunderers"  below. 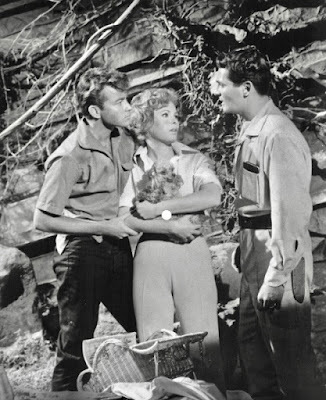 *Ray Stricklyn in "The Lost World"  with Jill St. John and David Hedison (below). *Ray Stricklyn as Tennesee Williams onstage in "Confessions of a Nightingale" (above) and in Tennesee Williams' "Vieux Carre" at its West Coast Premier in 1983. 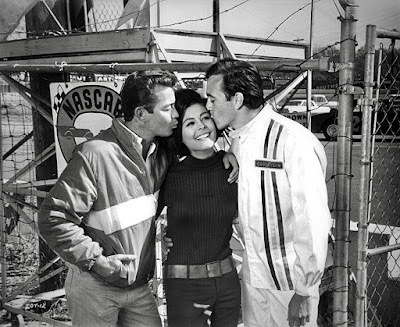 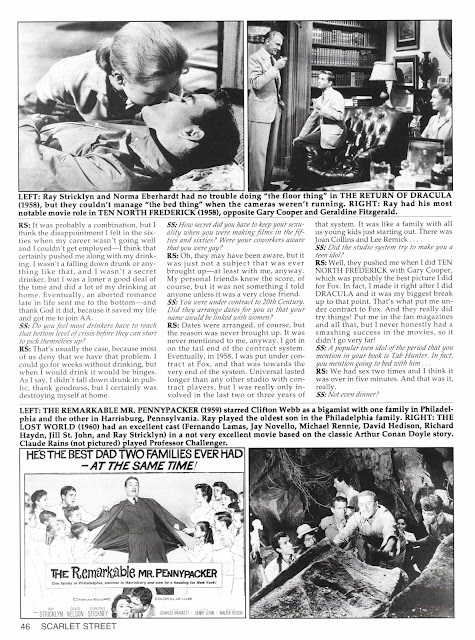 *Ray Stricklyn with Brenda Benet & Tommy Kirk (above) and in "Young Jesse James" (below). 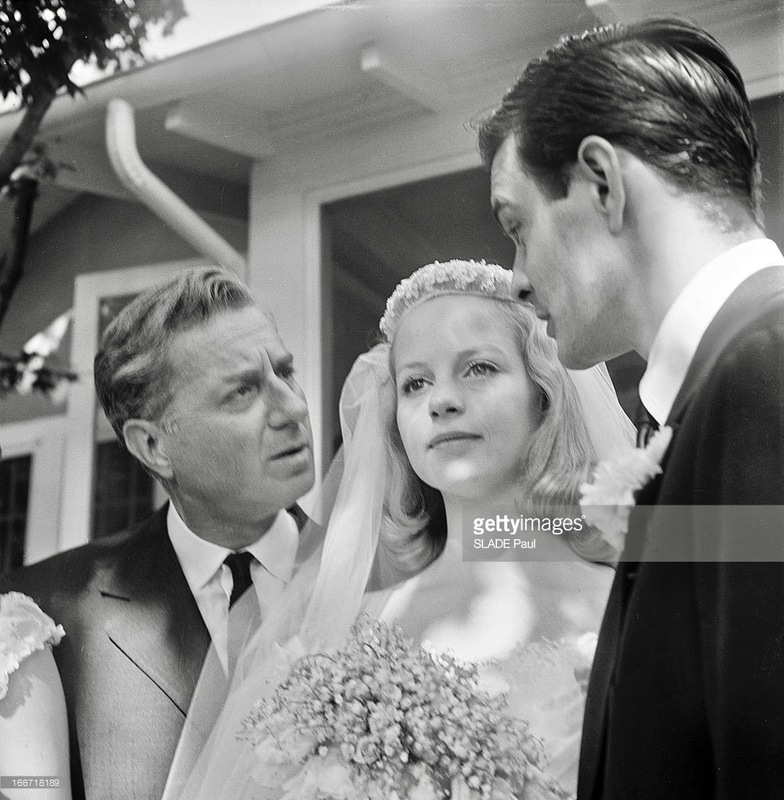 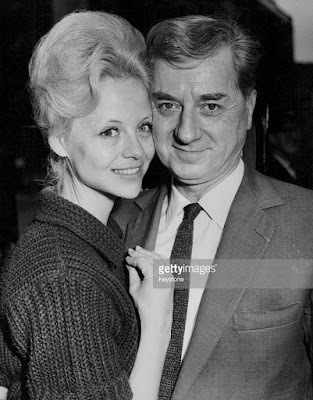 *Norma Eberhardt with husband, Claude Dauphin. 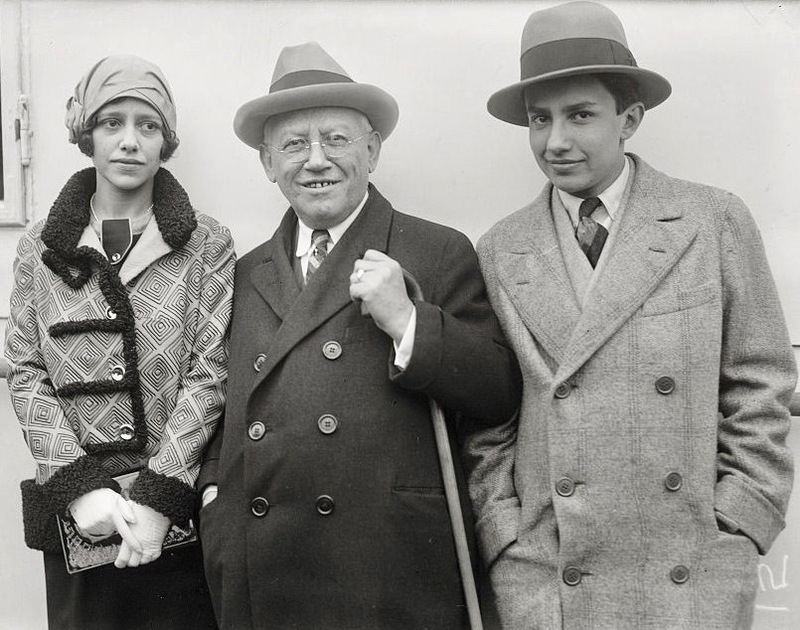 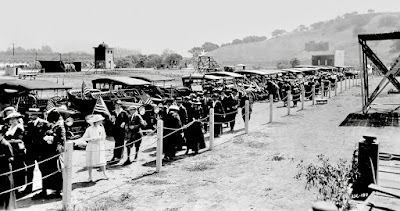 *The Laemmle Family with Rosabelle (daughter), Carl Laemmle & (son) Carl Jr.
*I won't get into all of the famous faces in this photo (especially as I can't identify everyone) but I believe that is Stanley Bergerman standing in the second row on the extreme left-hand side. 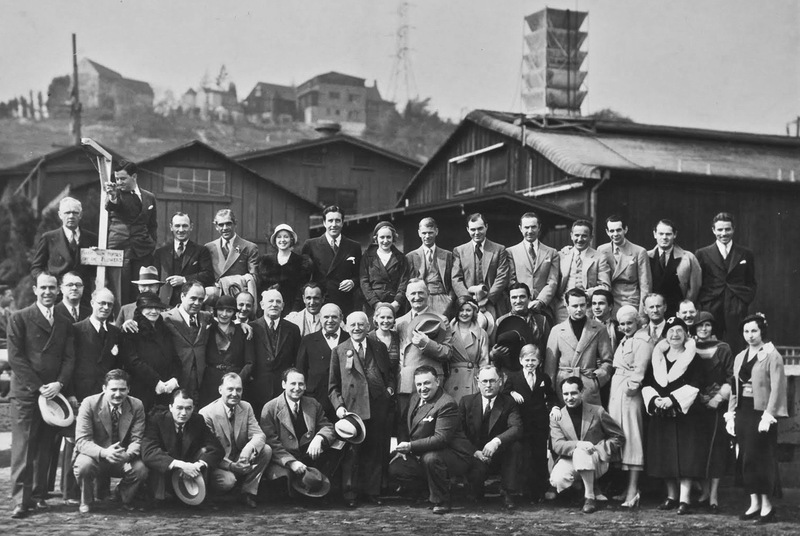 *Another Universal Family photo celebrating Carl Laemmle's birthday with (I believe) Stanley Bergerman standing in the 3rd row behind the baker. 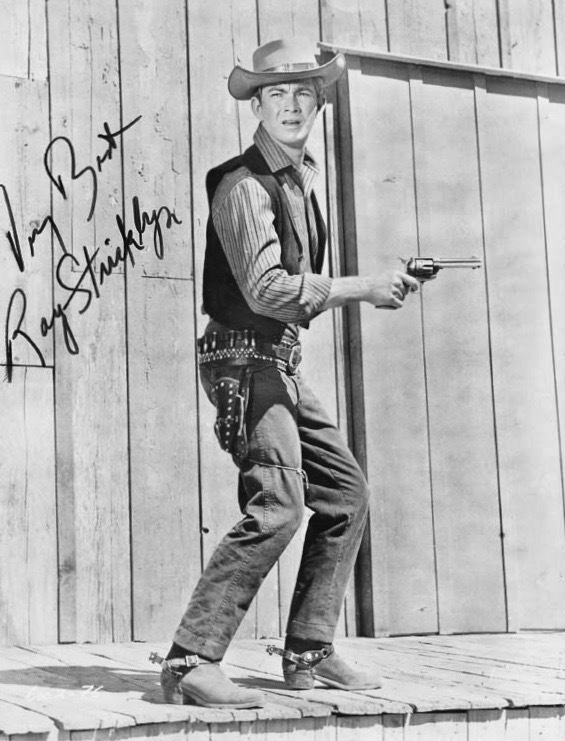 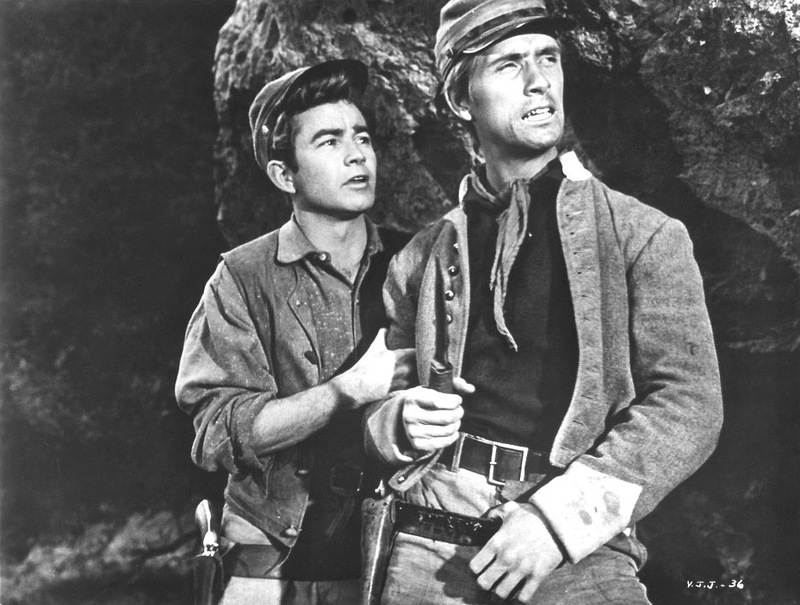 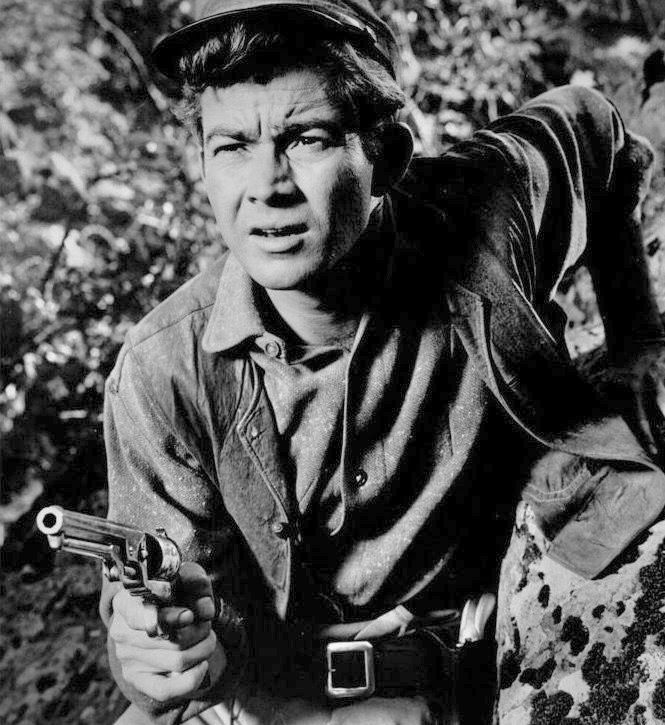 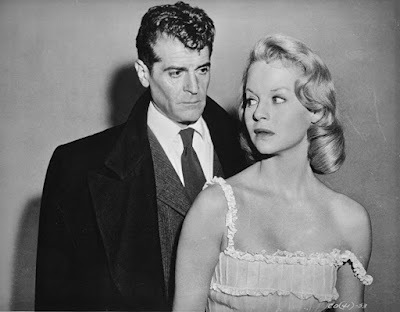 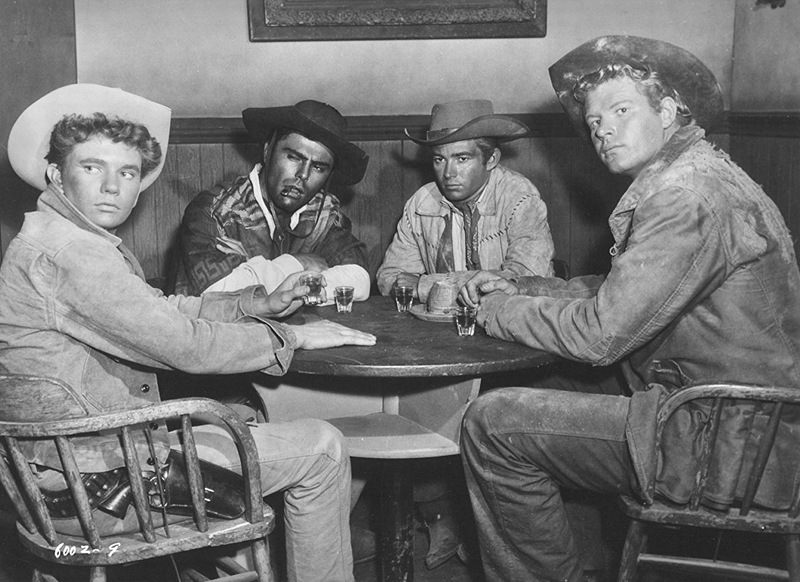 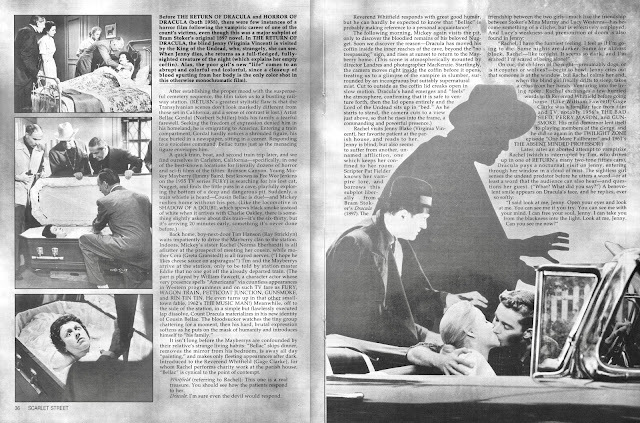 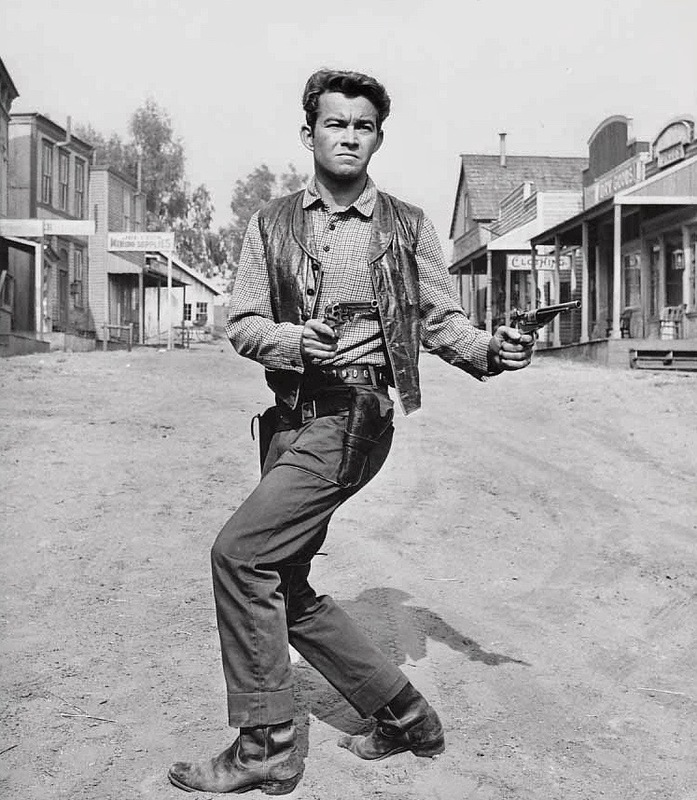 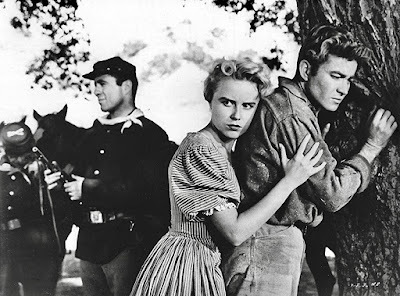 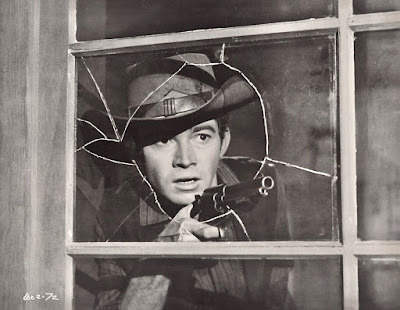 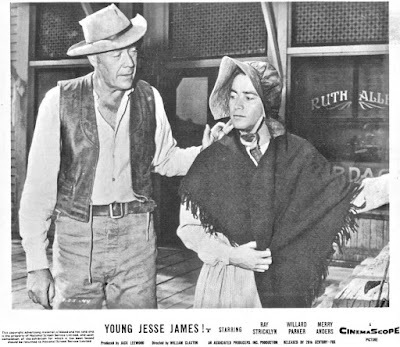 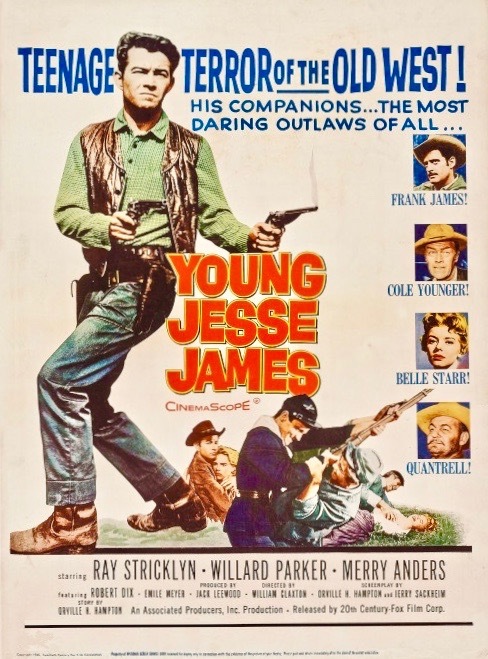 *Ray Stricklyn in "The Plunderers" (above) and "Young Jesse James" (below) both from 1960. 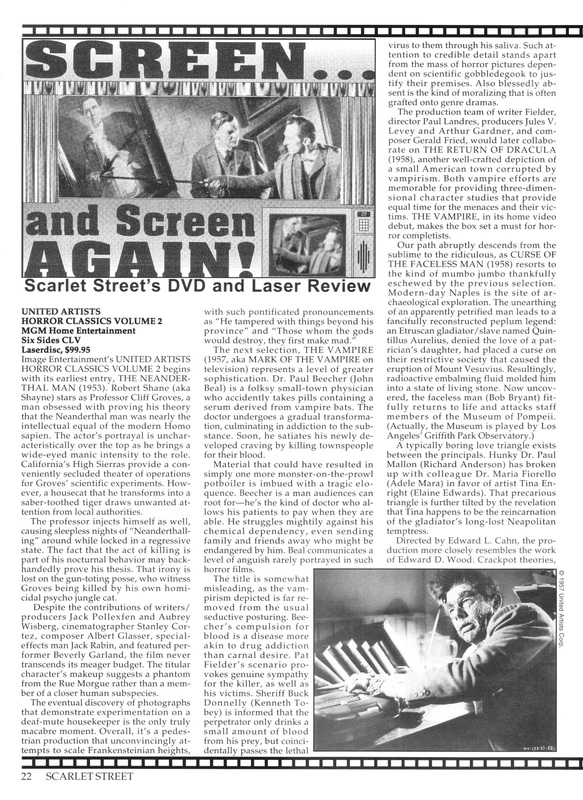 *Francis Lederer and Ida Lupino in "One Rainy Afternoon" (above) from 1936 and with Ginger Rodgers in "Romance in Manhattan" (below) from 1935. 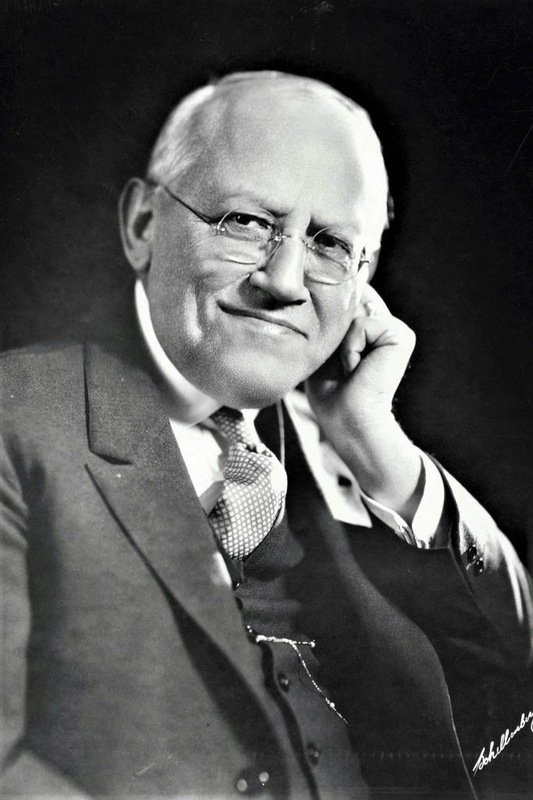 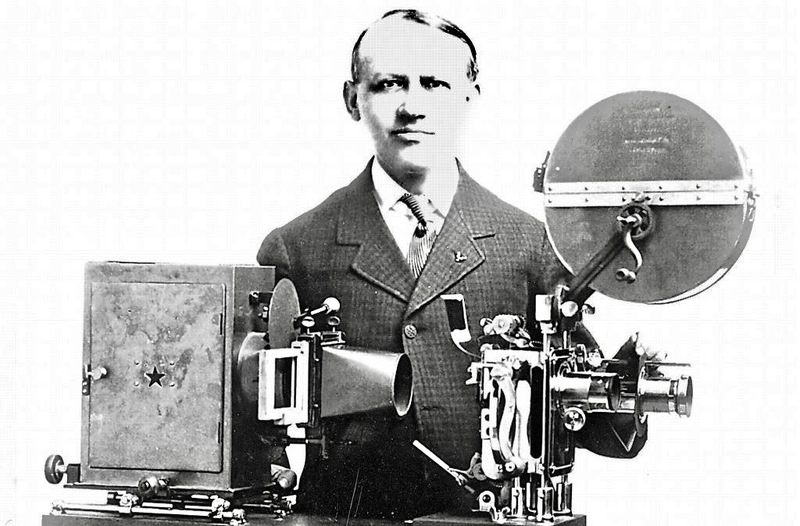 Carl Laemmle (above) and Carl Laemmle Jr. (below).